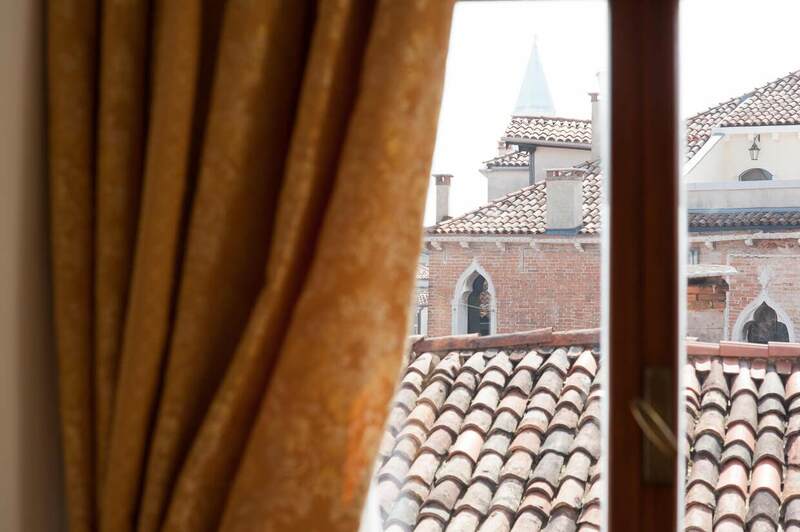 Put yourself in the shoes of a Venetian: let yourself be charmed by the luxury and sophistication of our detached units, the best solution for those who want to discover Venice, looking at it from a resident’s point of view. 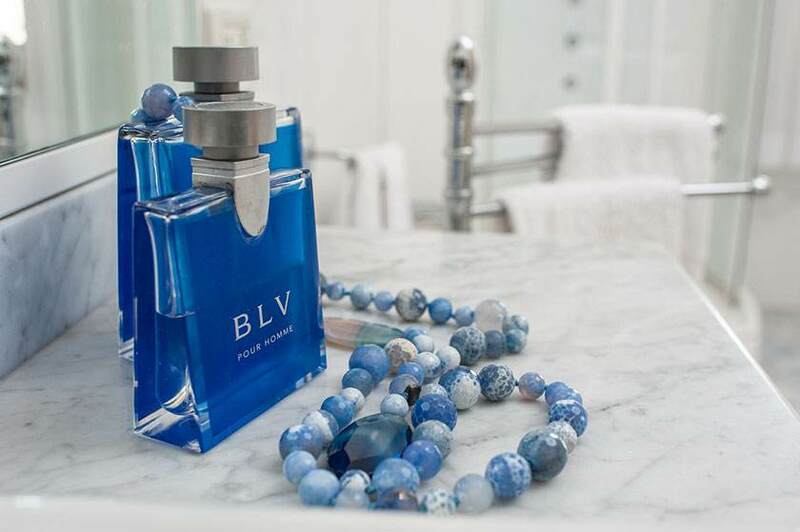 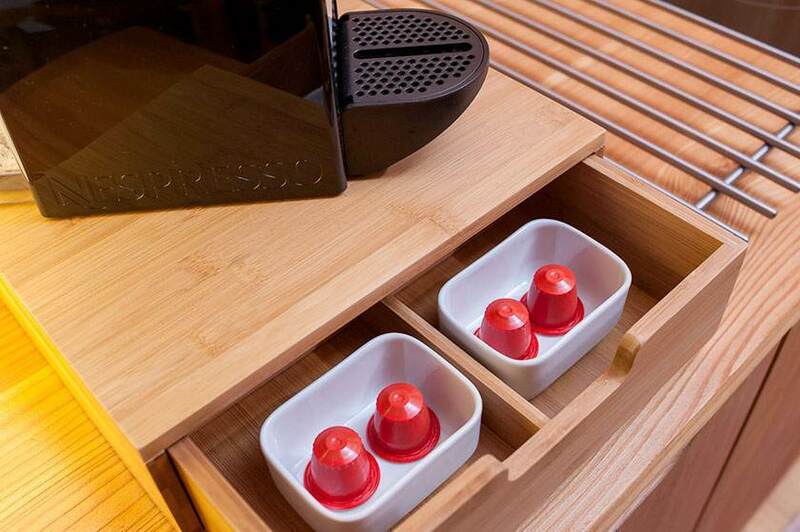 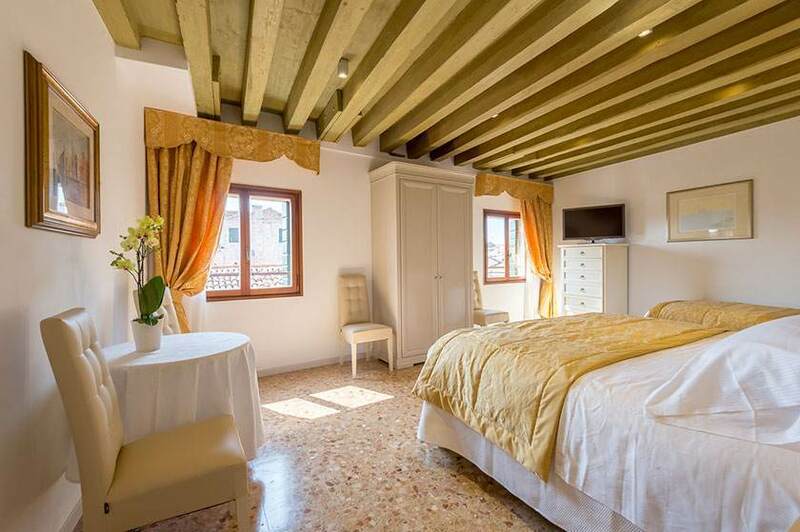 Inspired by the painter, Vecellio, it is a realm of comfort. 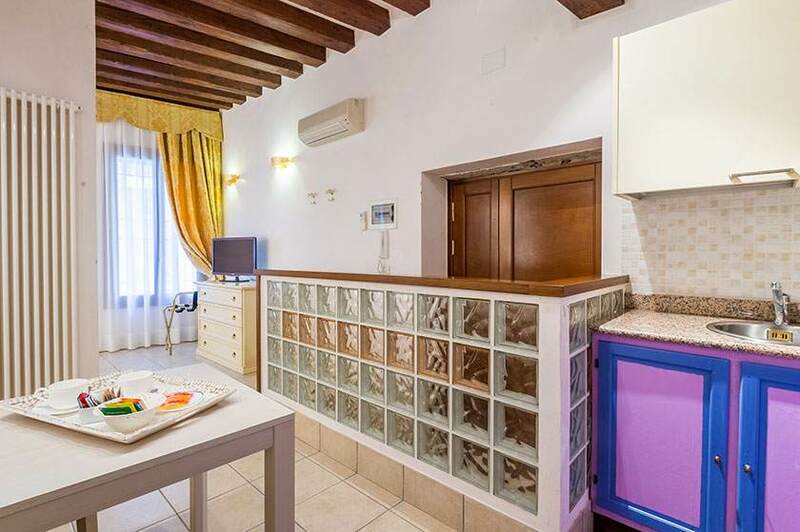 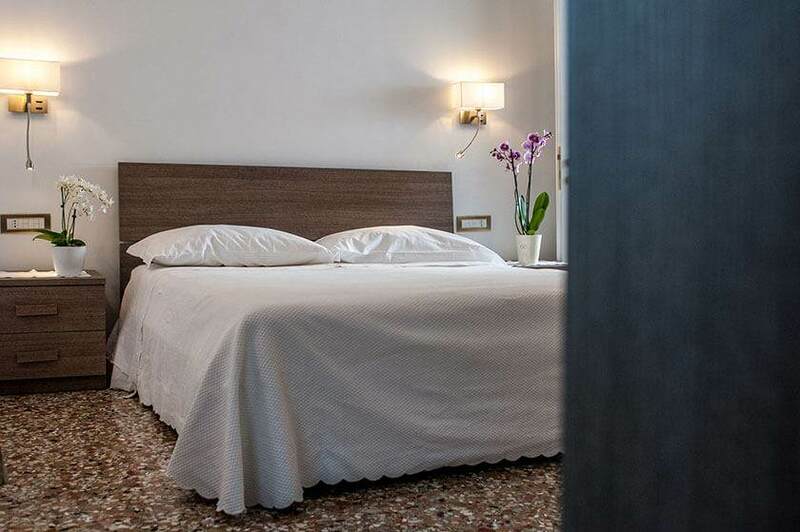 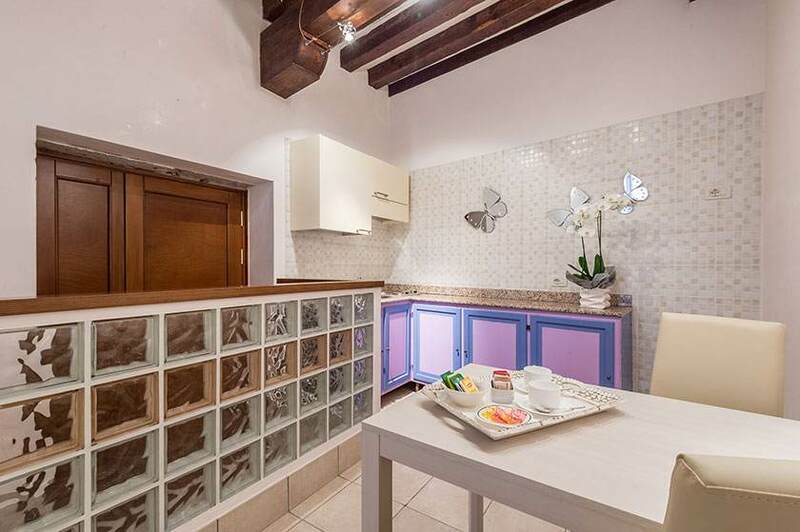 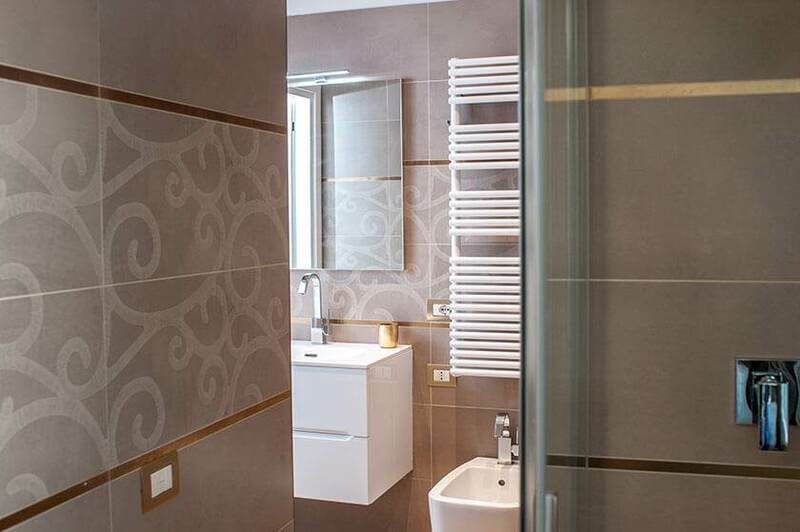 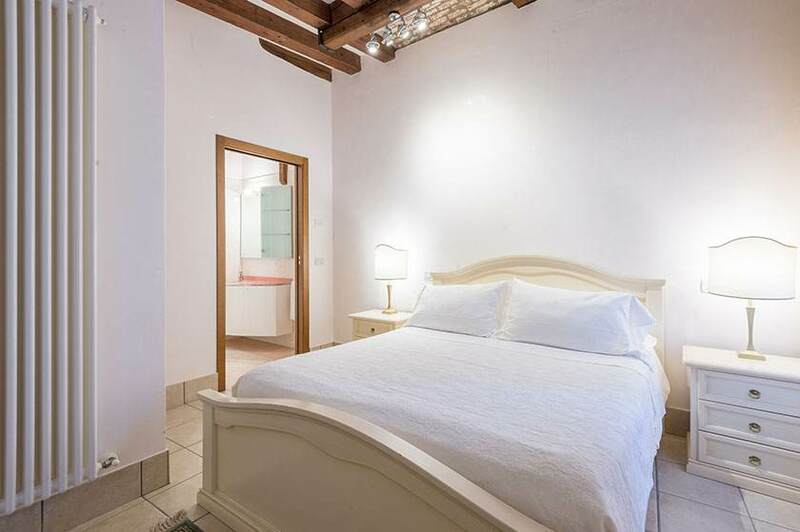 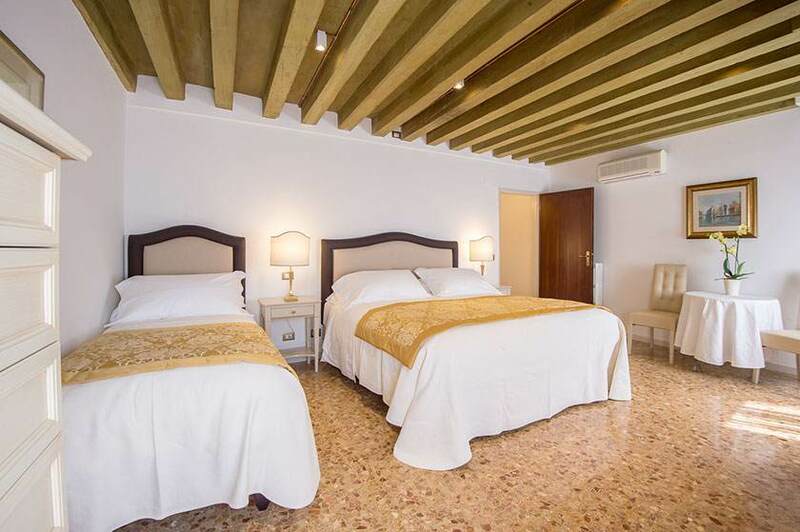 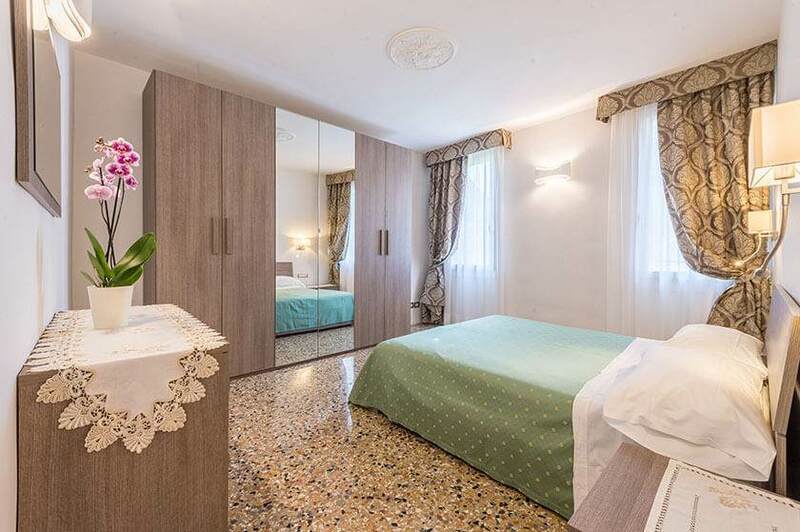 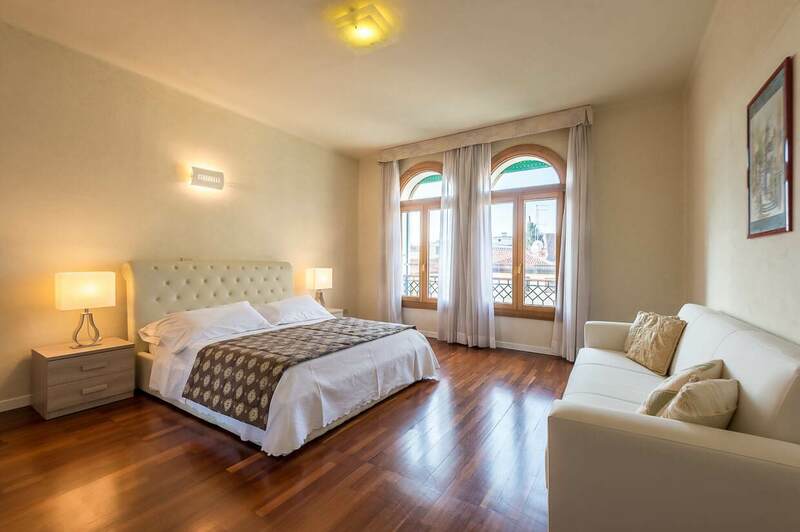 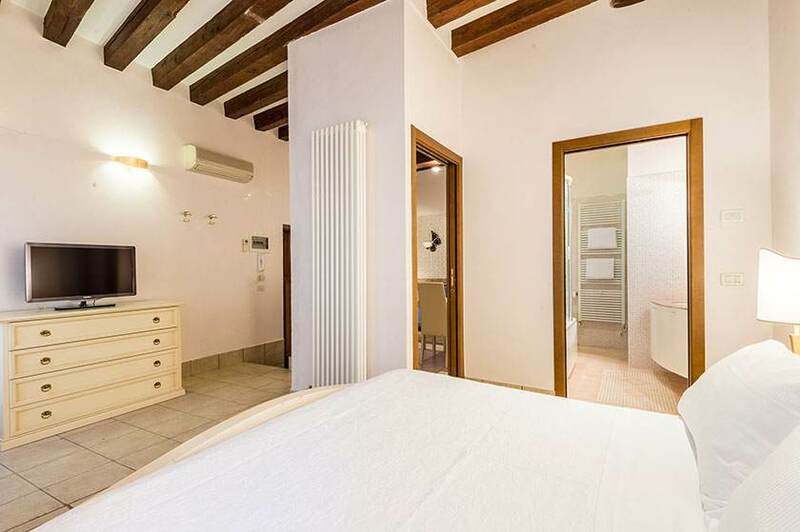 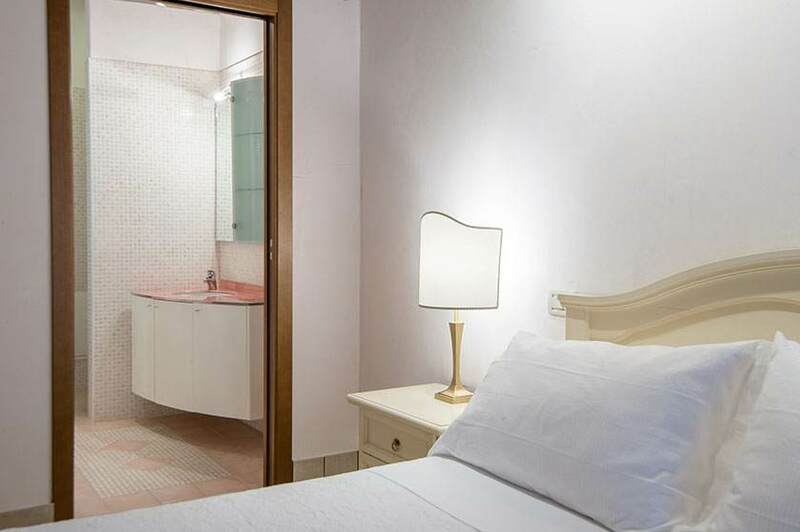 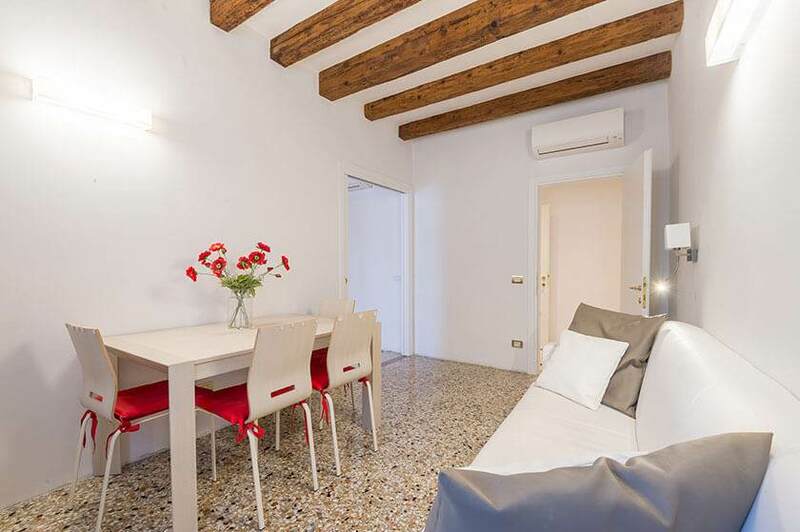 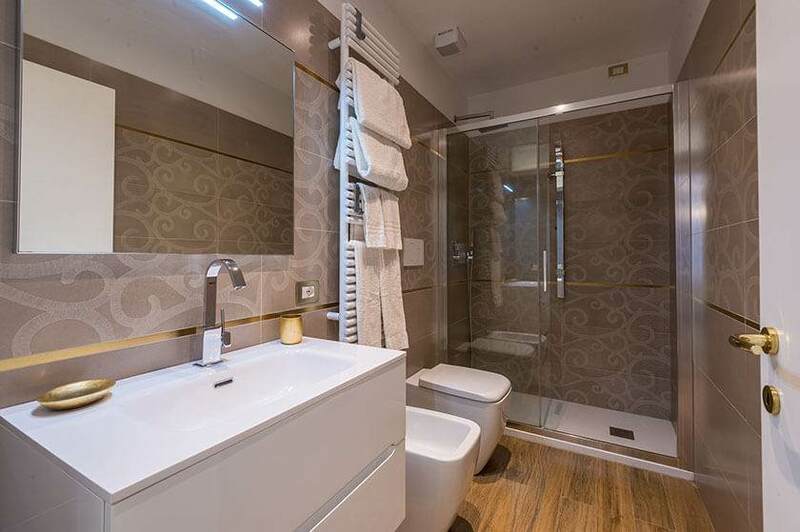 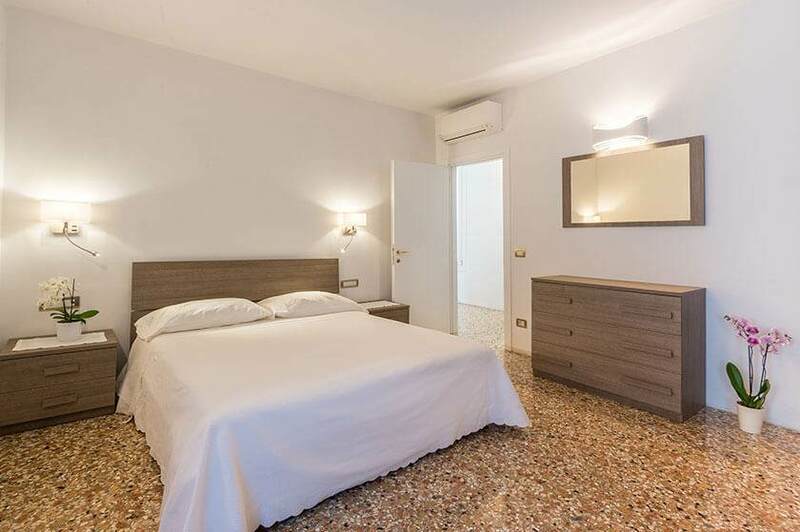 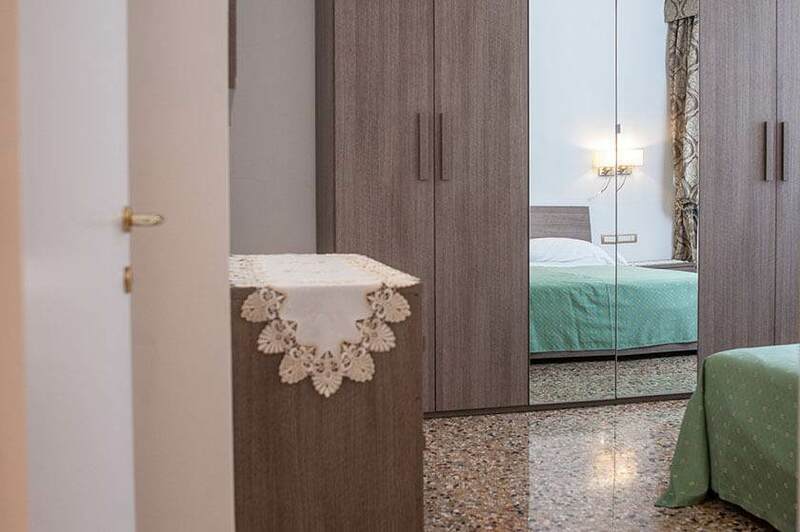 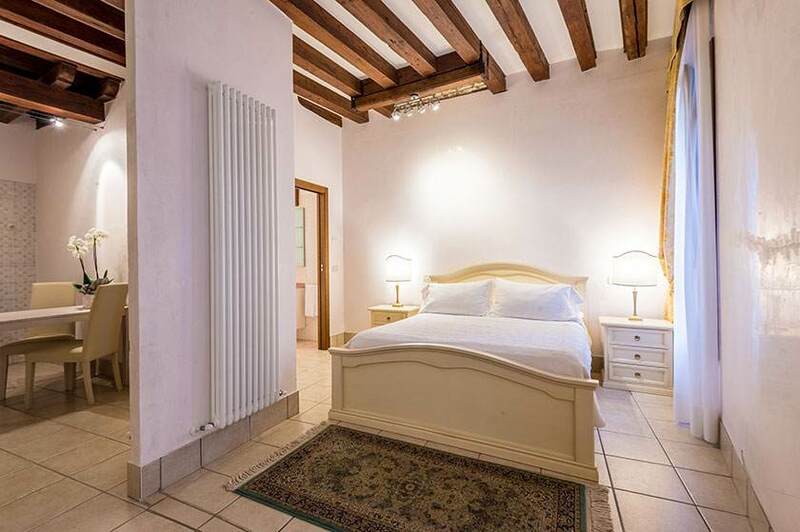 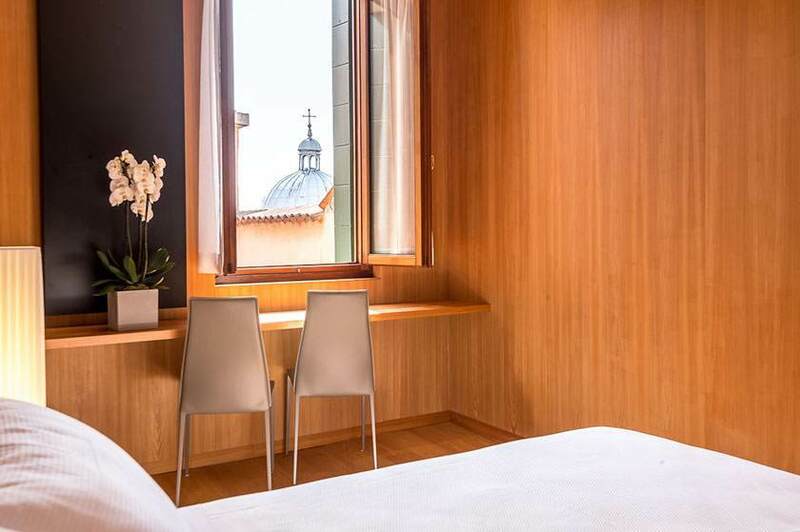 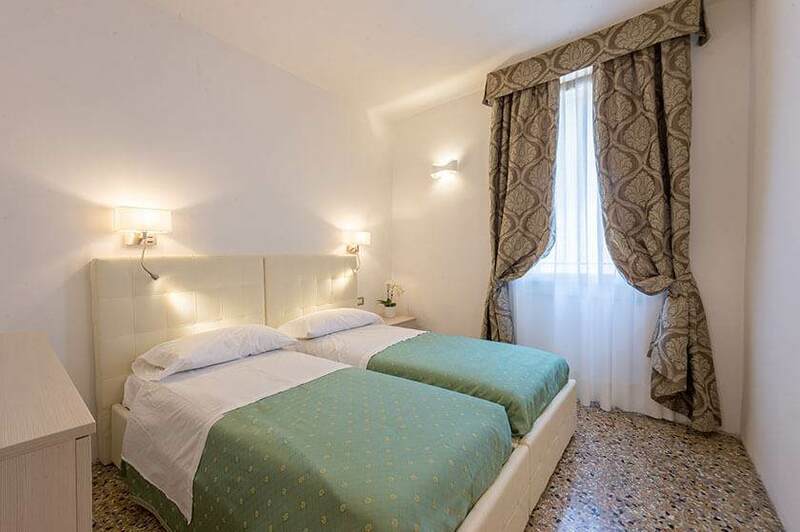 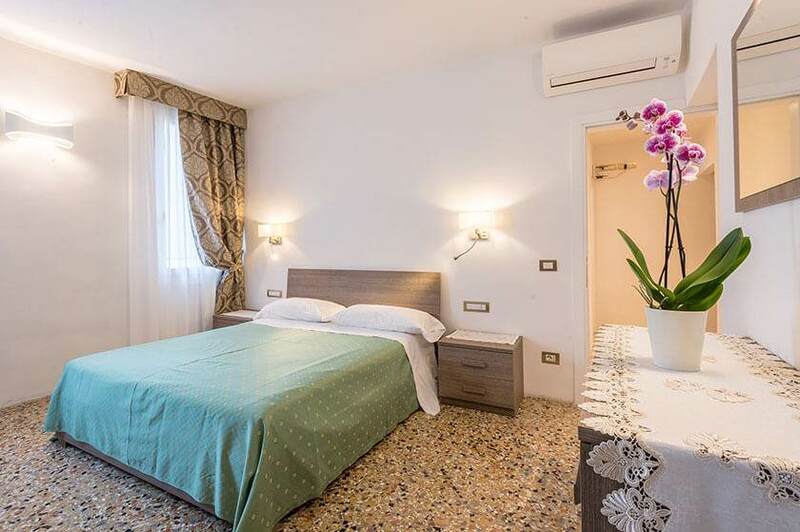 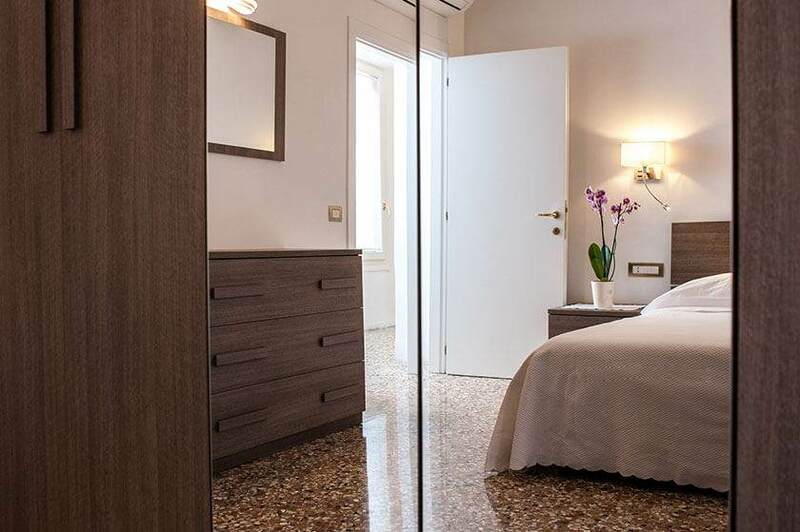 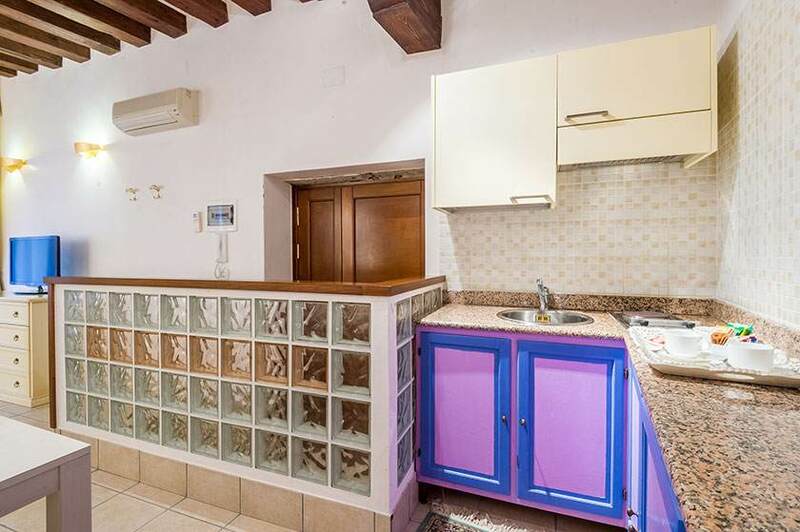 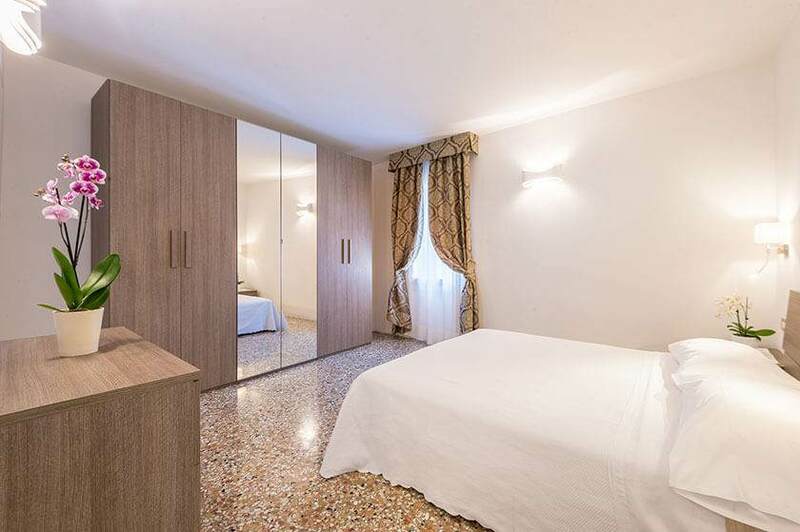 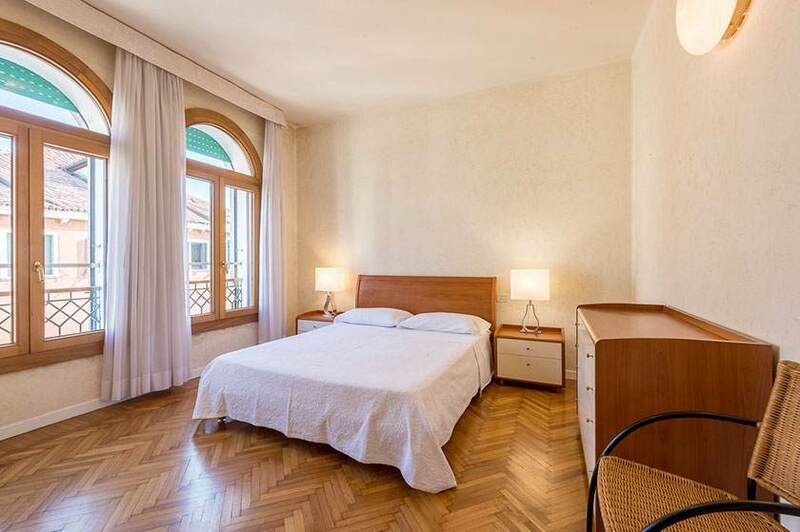 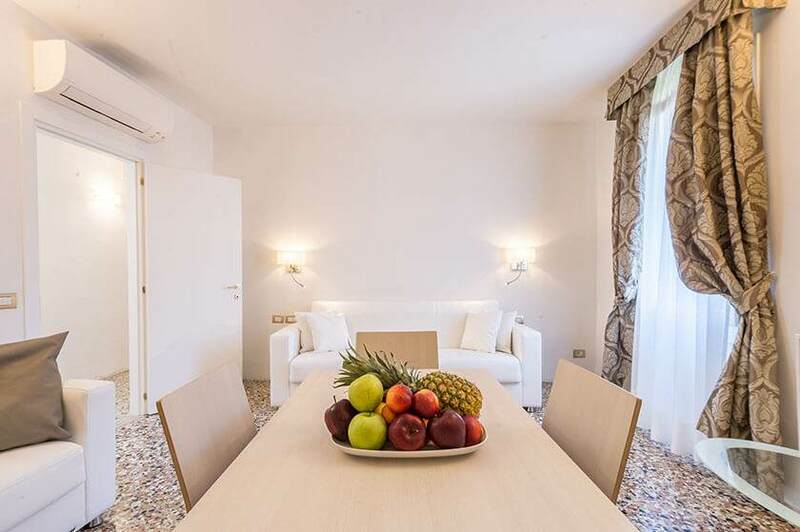 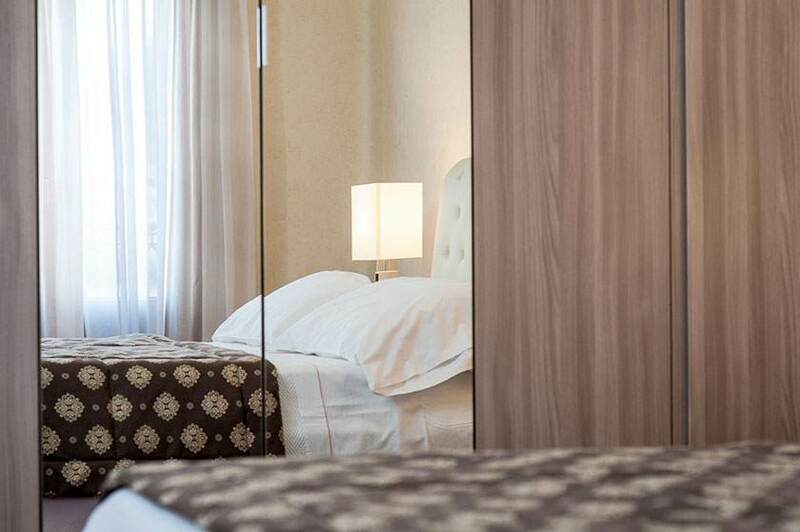 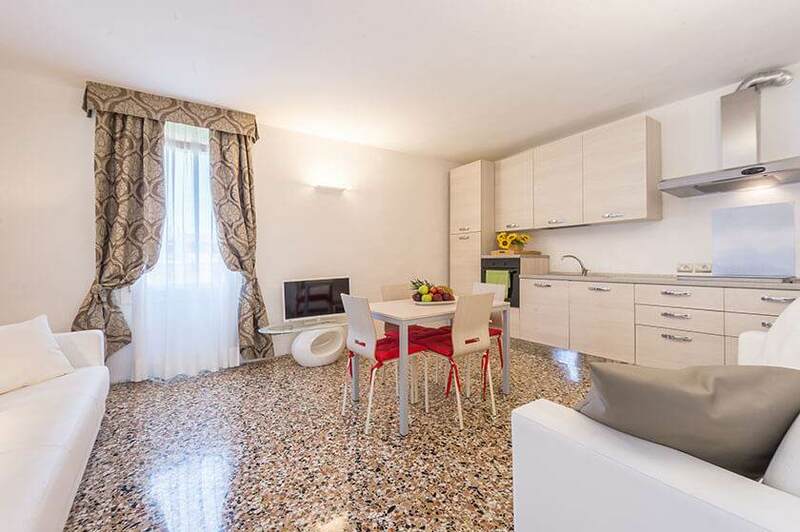 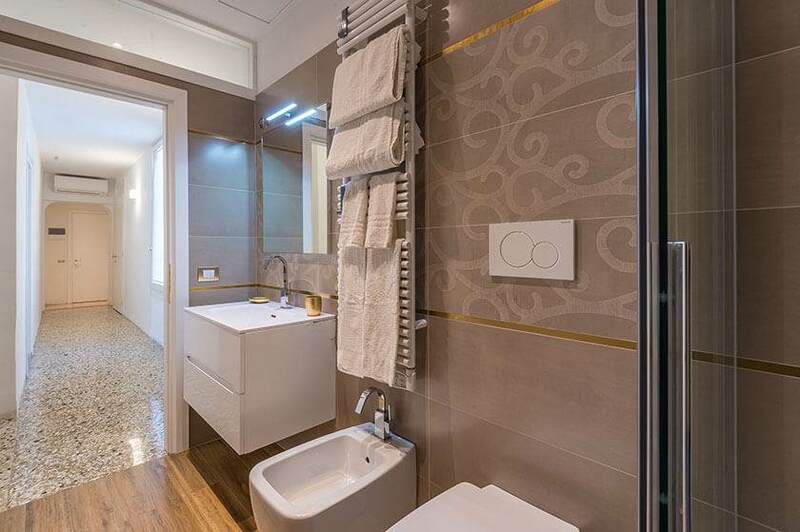 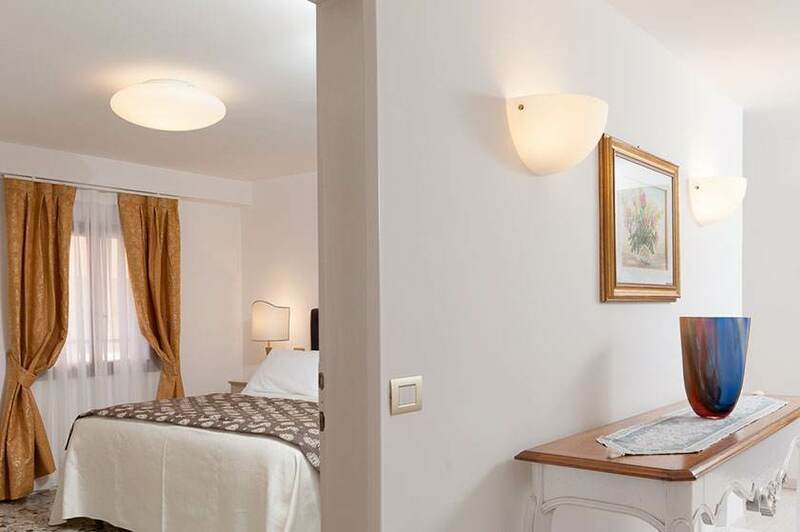 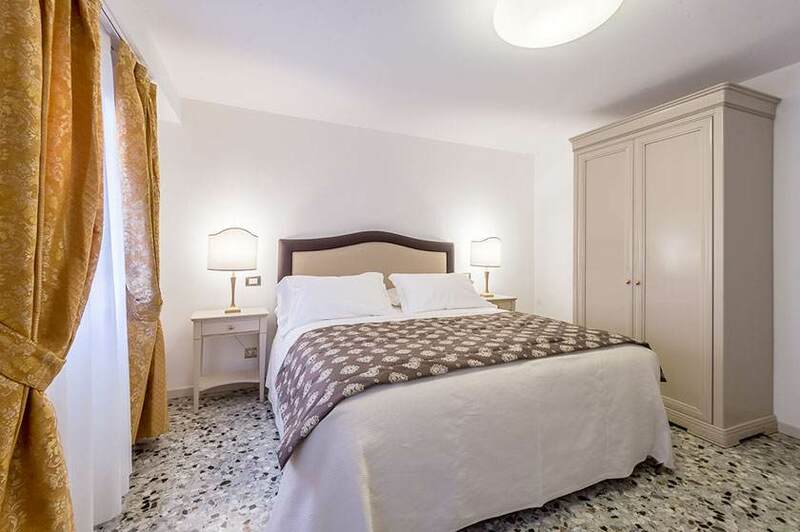 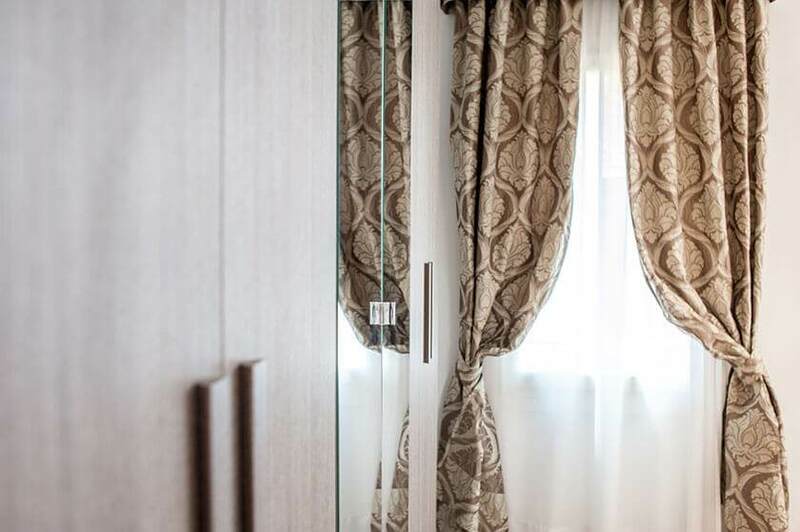 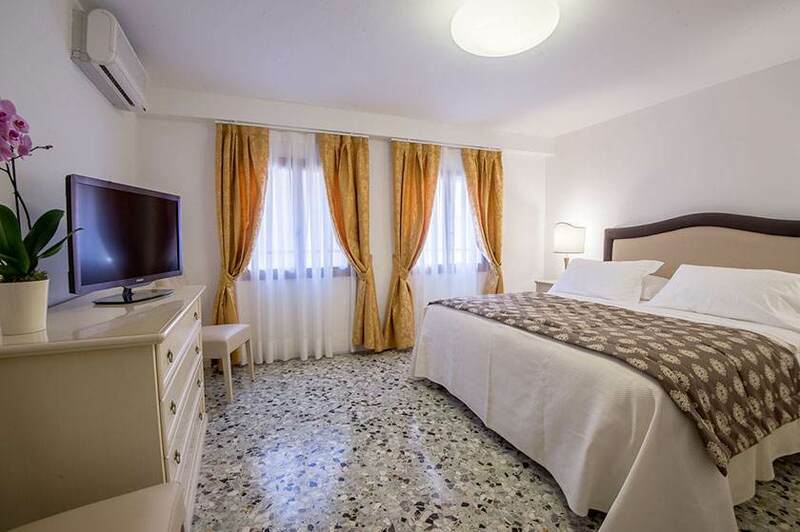 The 127 square meters, very bright thanks to the windows facing St. Mark’s bell tower, are divided into a double, a triple and a single bedroom, two bathrooms, also with Jacuzzi, living room and fully equipped kitchen. 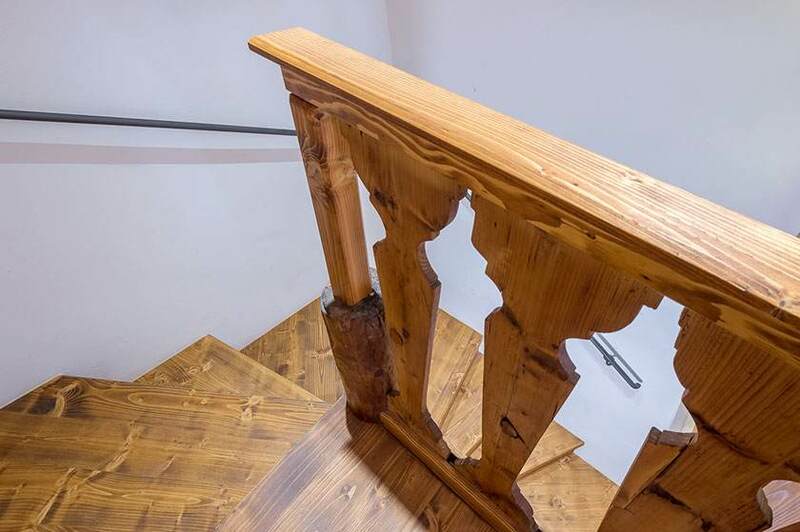 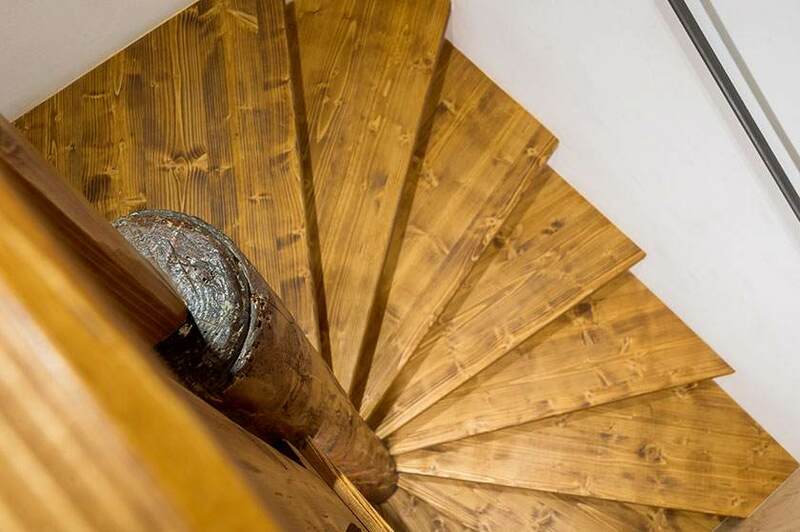 Climb down the spiral stairs built around the pole of a sixteenth-century ship and you’ll be amazed by this exquisite gem, entirely made of wood, consisting of a double bedroom, bathroom and a fully equipped kitchenette. 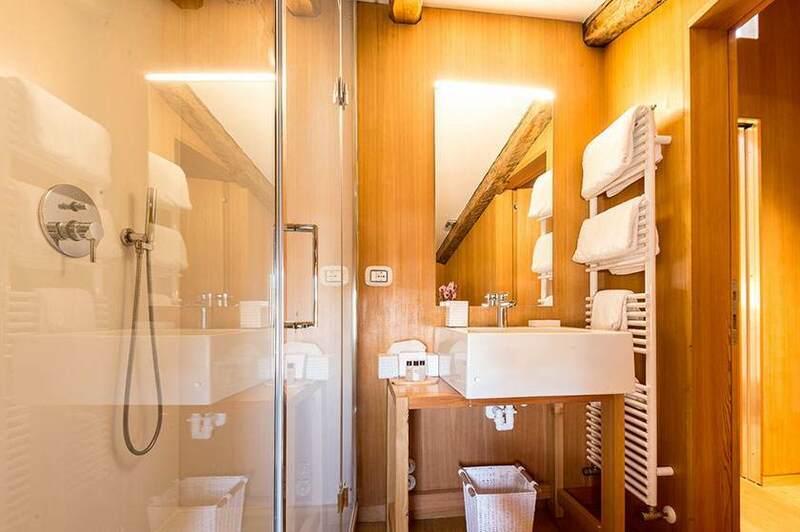 You’ll experience the thrill of sleeping in a sailboat. 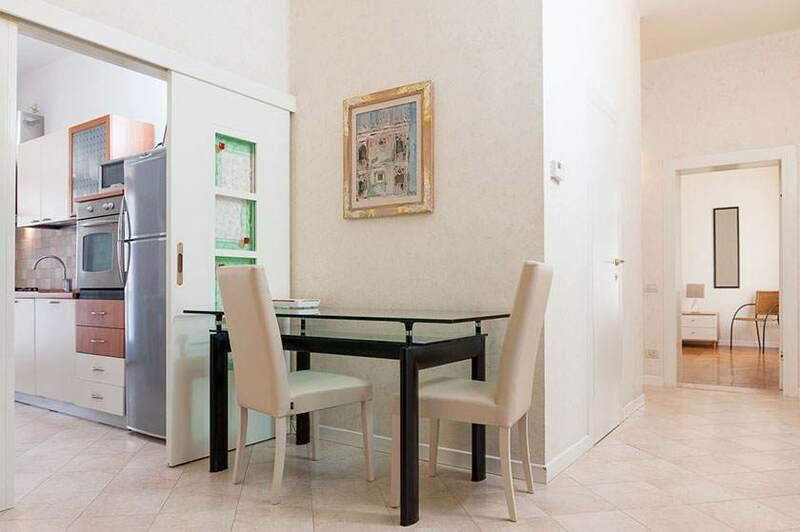 Dedicated to the artist, this unit is located on the ground floor and opens onto a lovely Venetian canal. 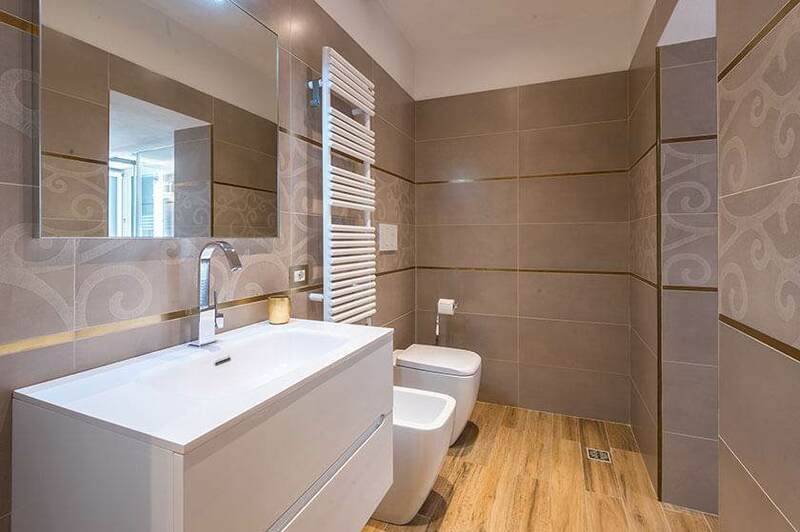 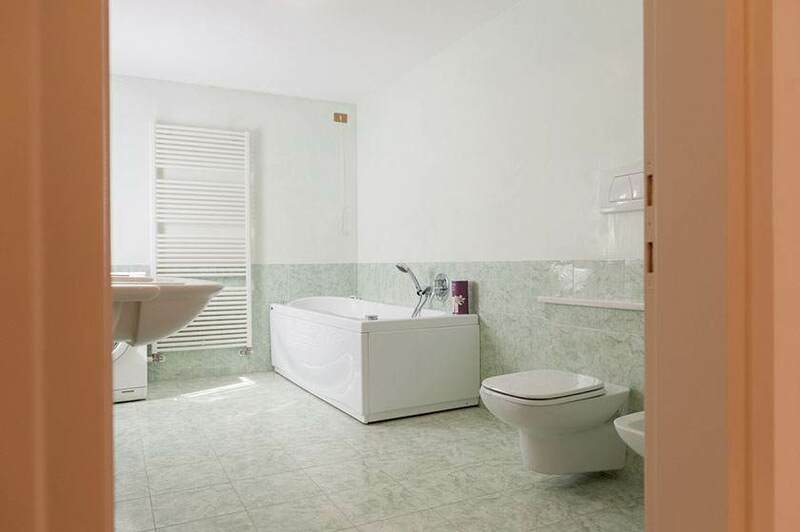 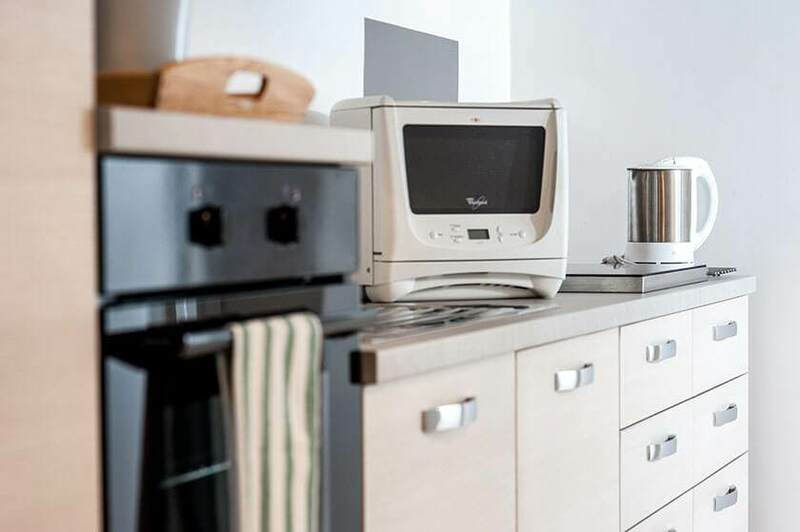 With all modern amenities, it features a fully equipped kitchen, a double bedroom and a bathroom. 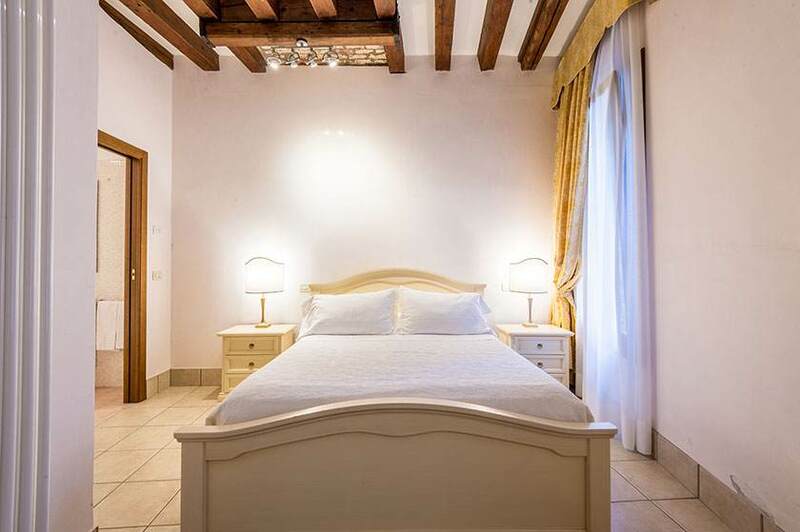 Great for couples seeking a romantic love nest. 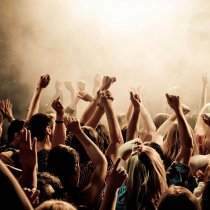 Quick info: Check in from 2:00 p.m., check out by 10.00 a.m. 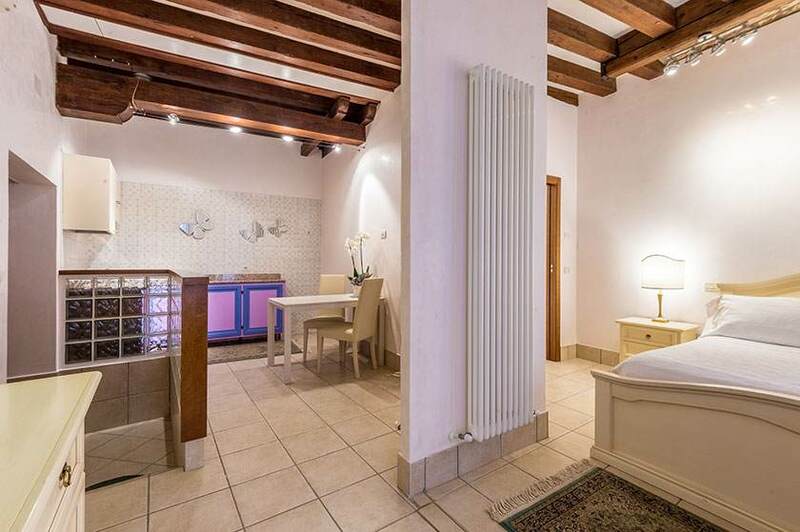 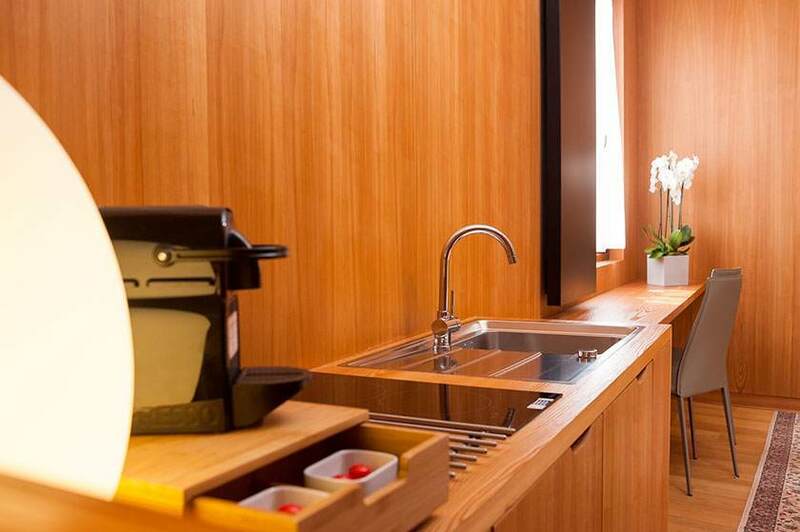 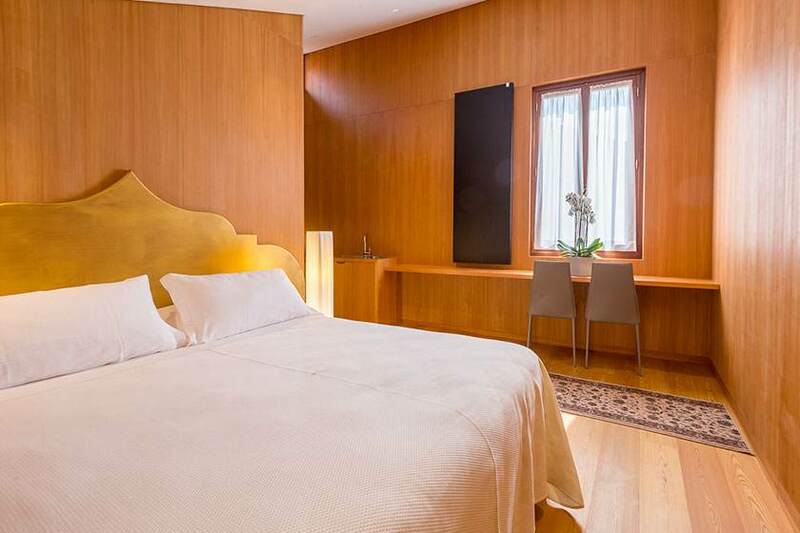 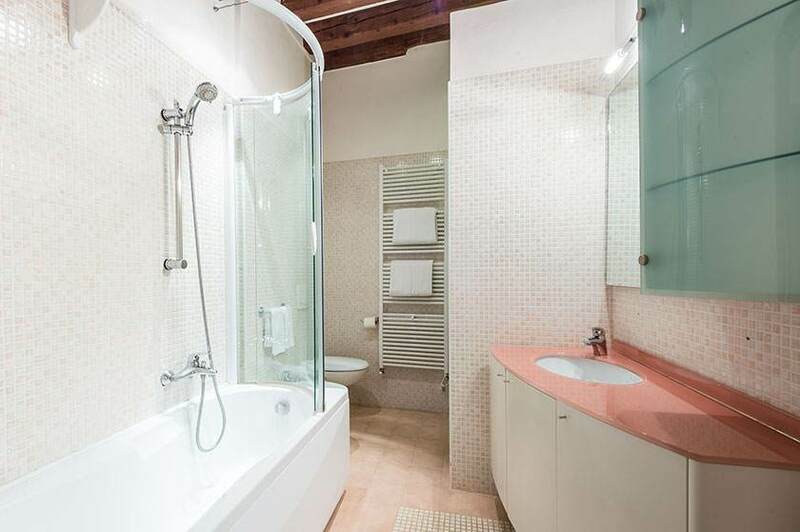 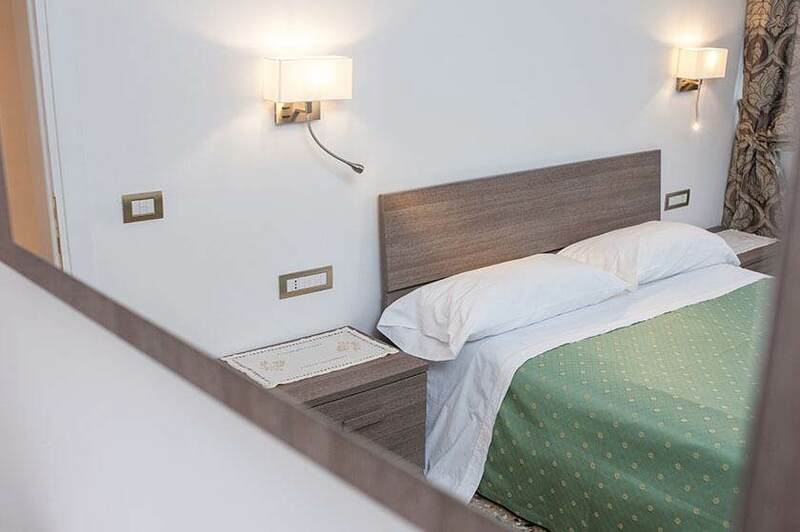 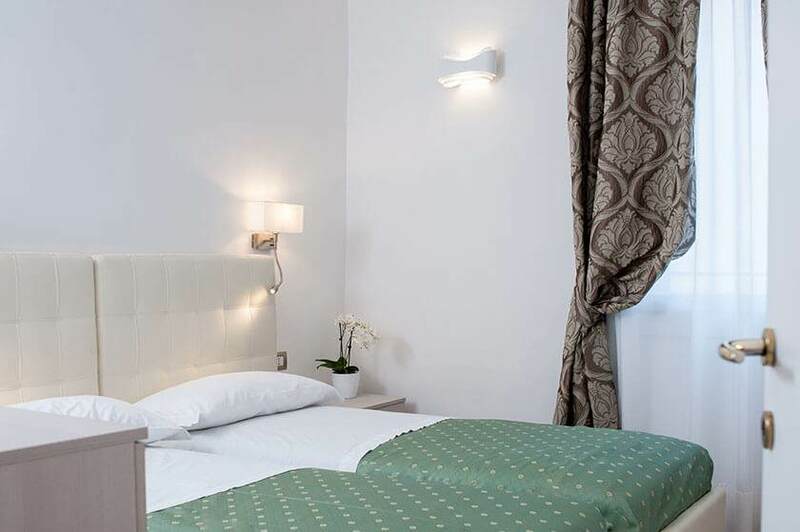 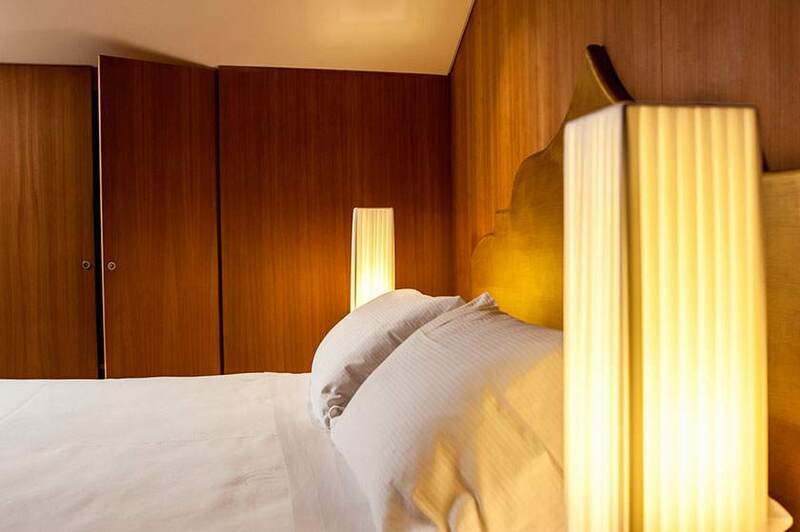 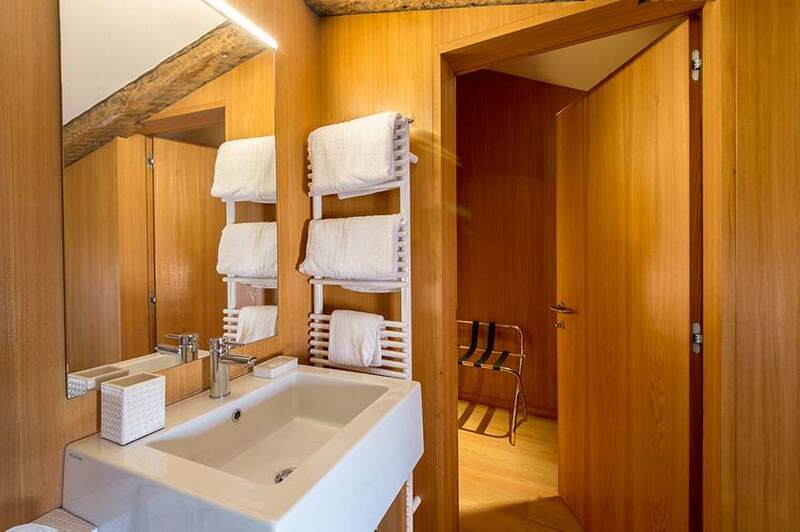 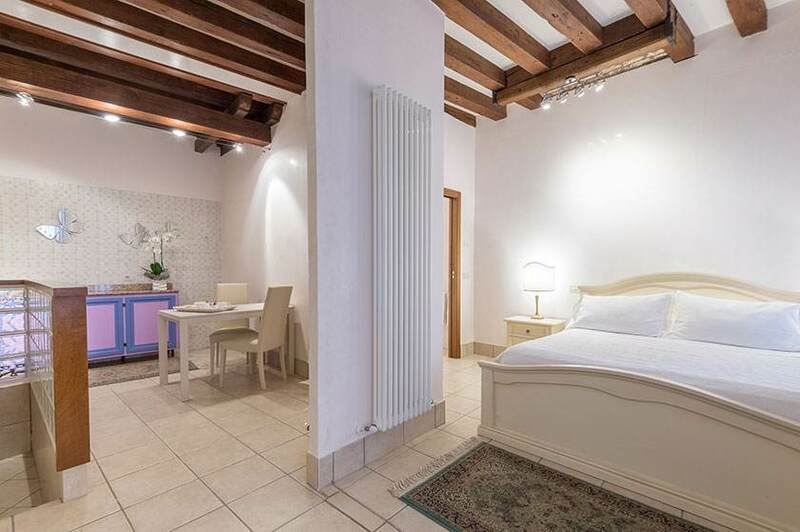 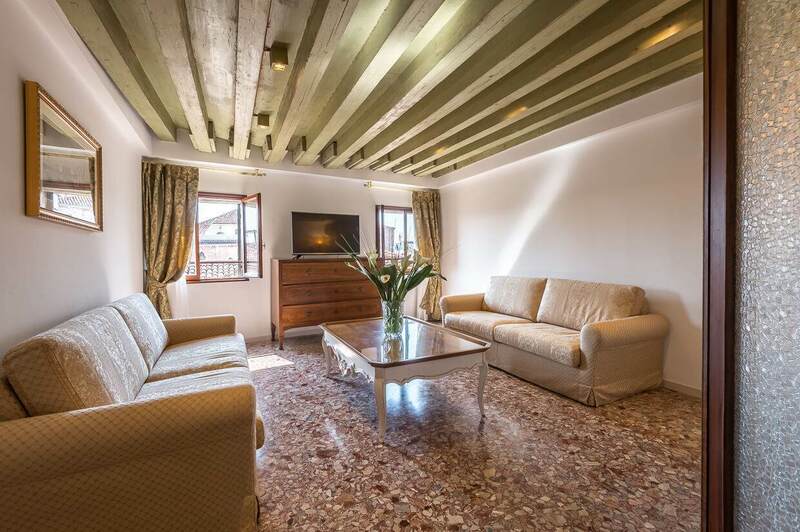 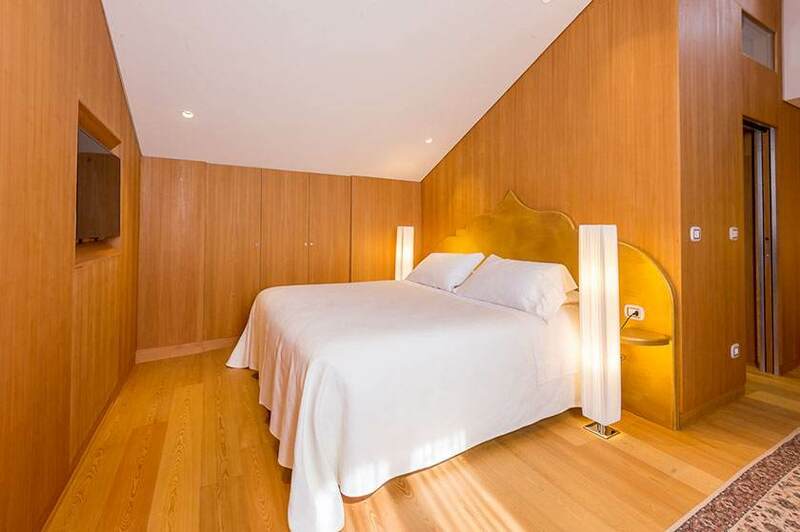 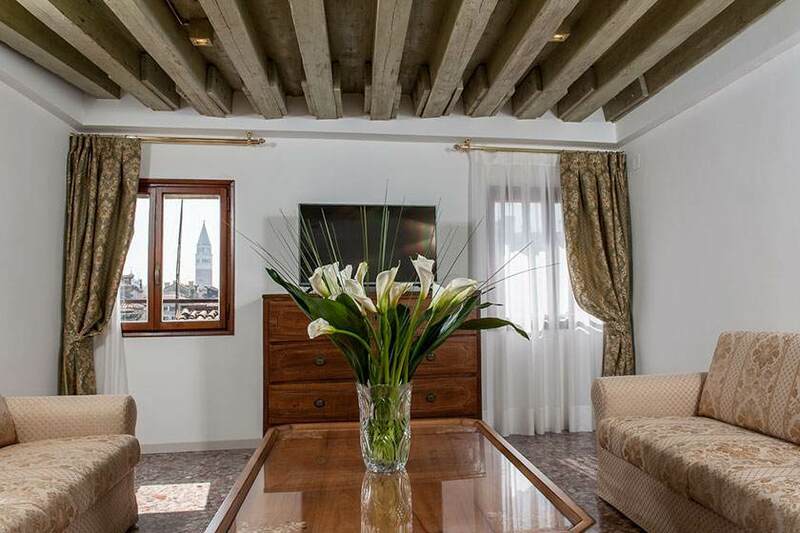 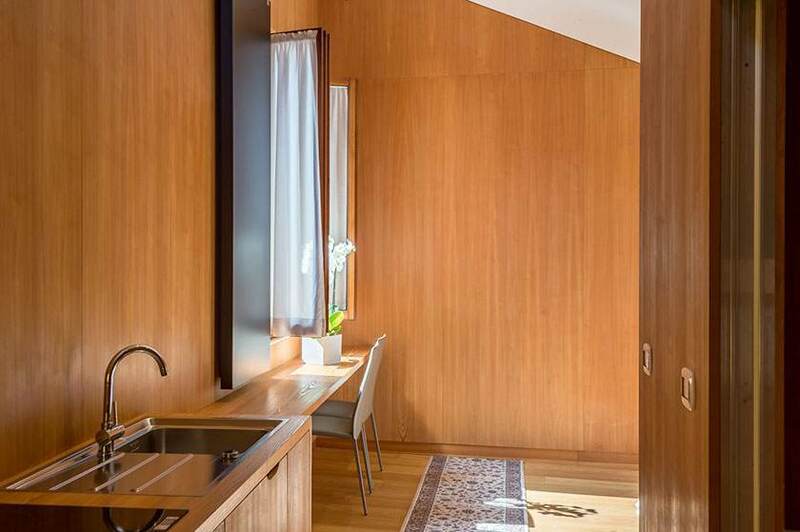 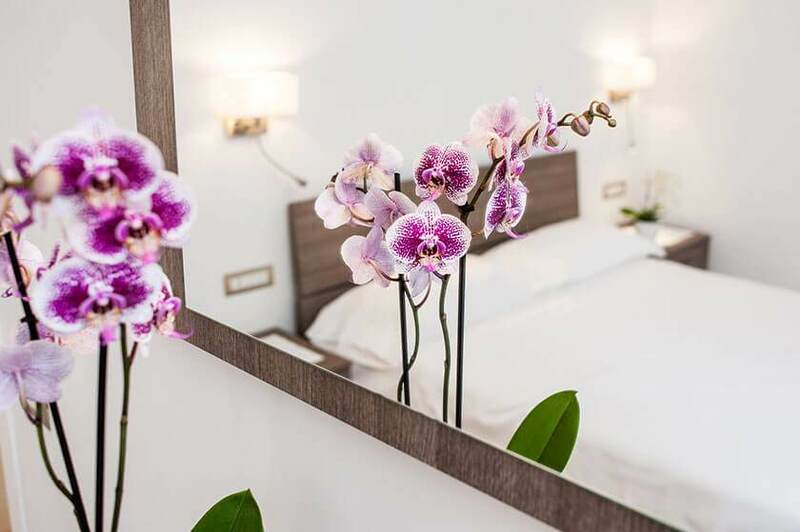 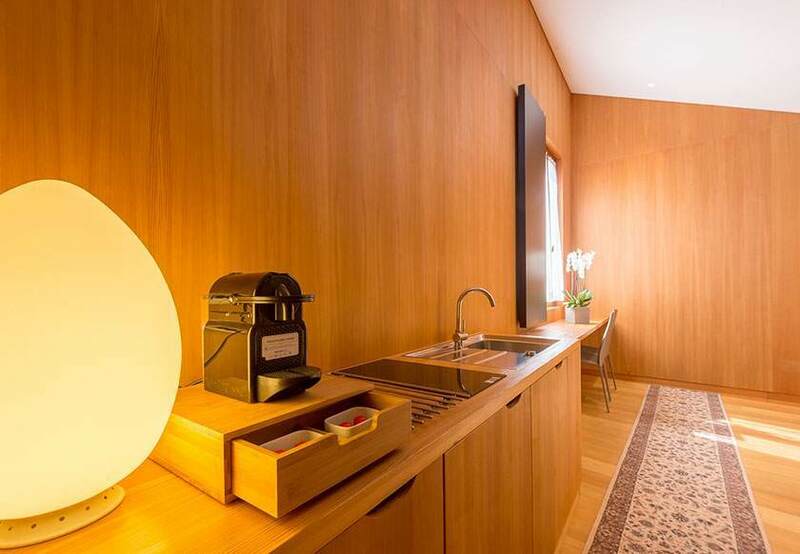 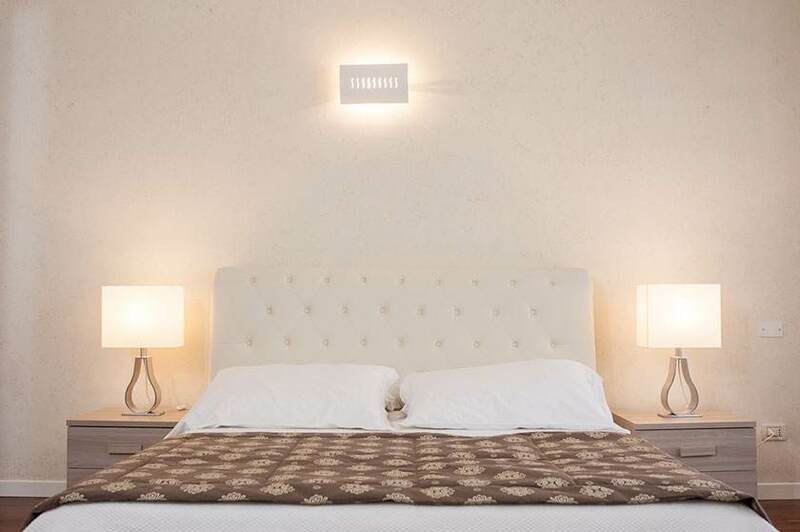 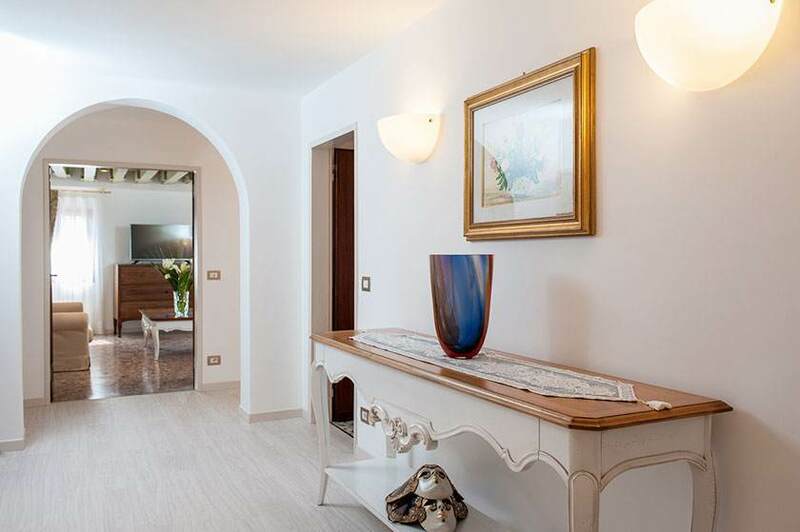 The apartment is named after Ca’ d’Oro on the Grand Canal, about 260 meters away, and consists of a double bedroom, a living room with a sofa bed, a dining area, a fully equipped kitchen and a bathroom. 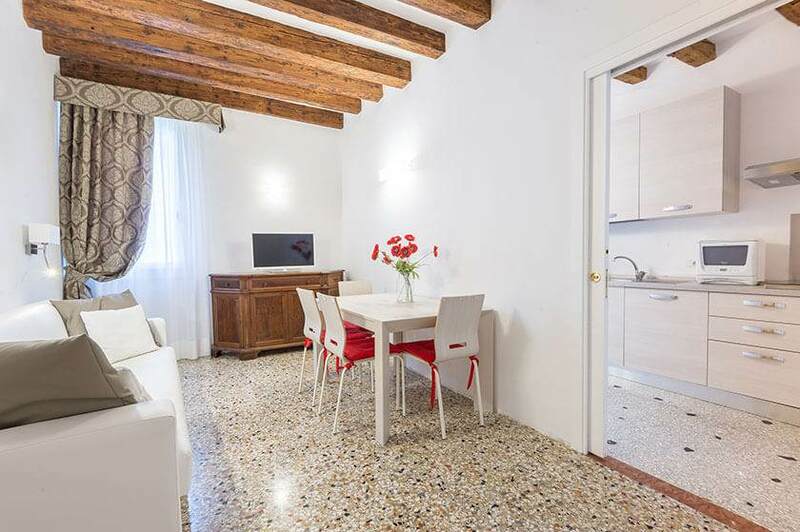 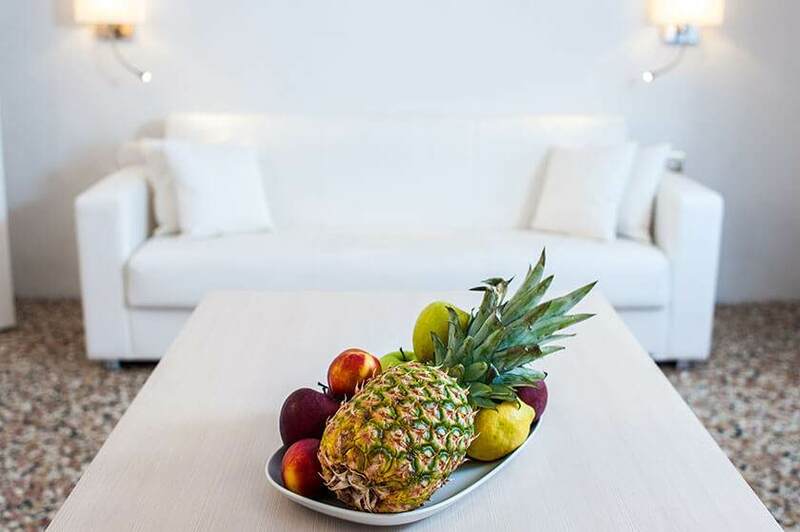 The romantic atmosphere of this apartment, which boasts the same strategic position as the first, as well as the same modern amenities, is ready to fascinate up to four guests. 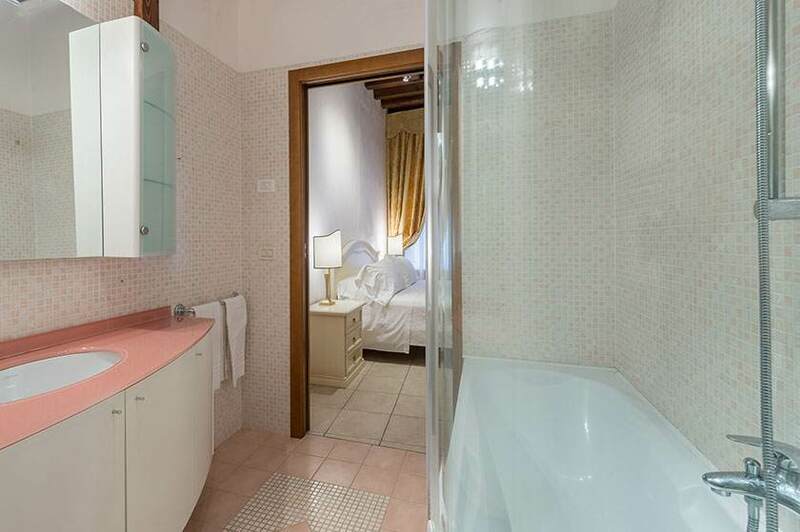 It has a master bedroom and the comfortable extra double bedroom. 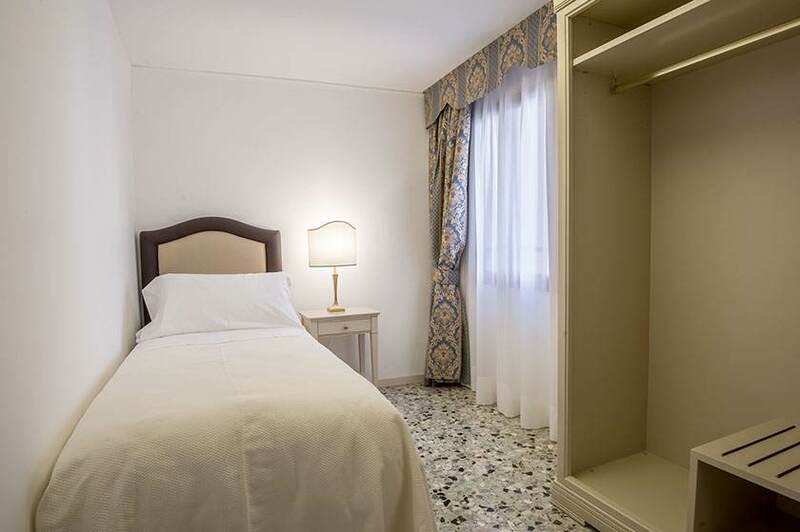 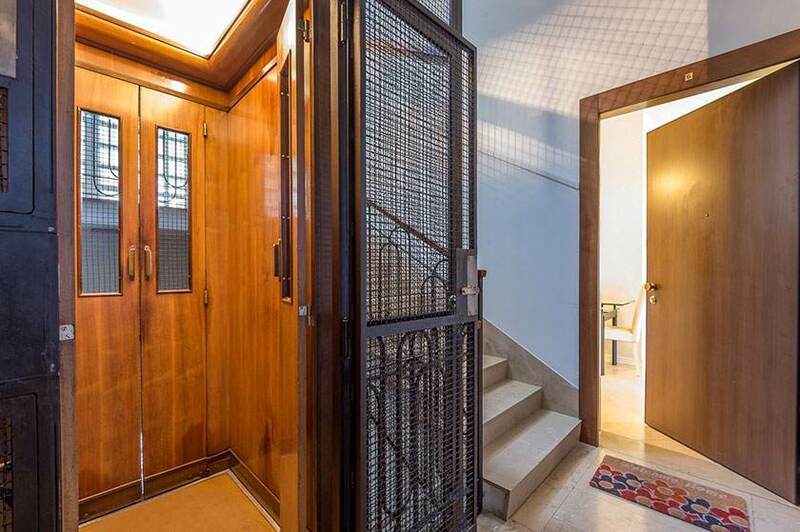 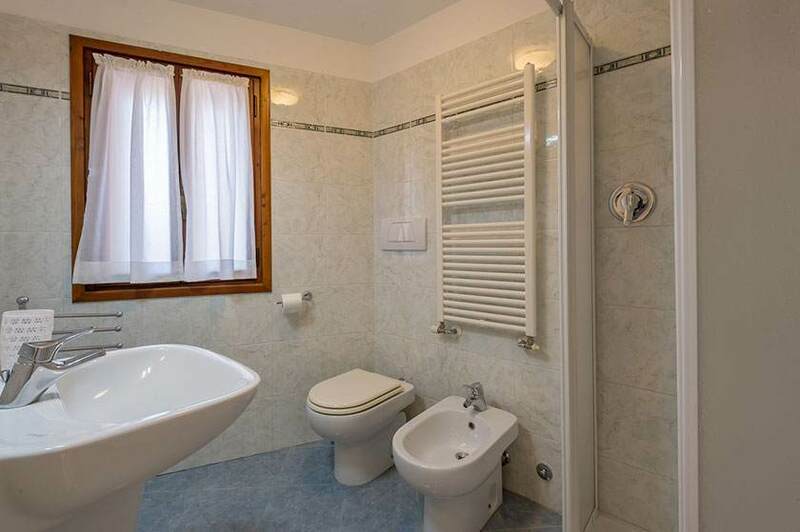 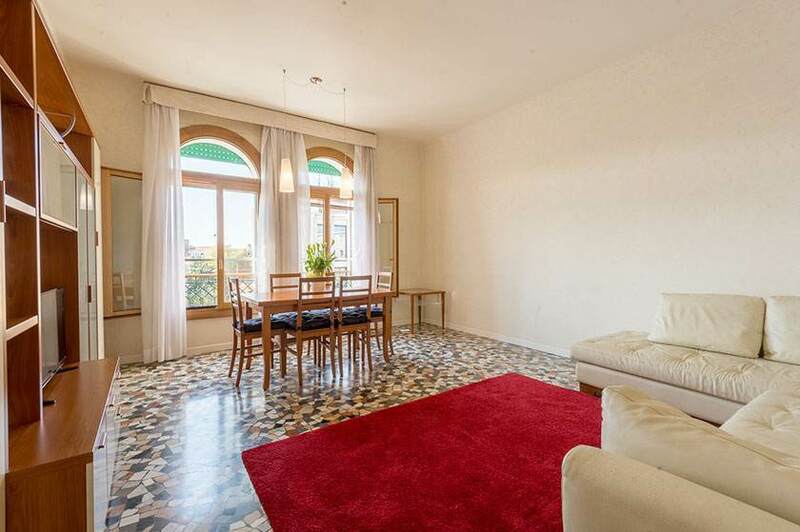 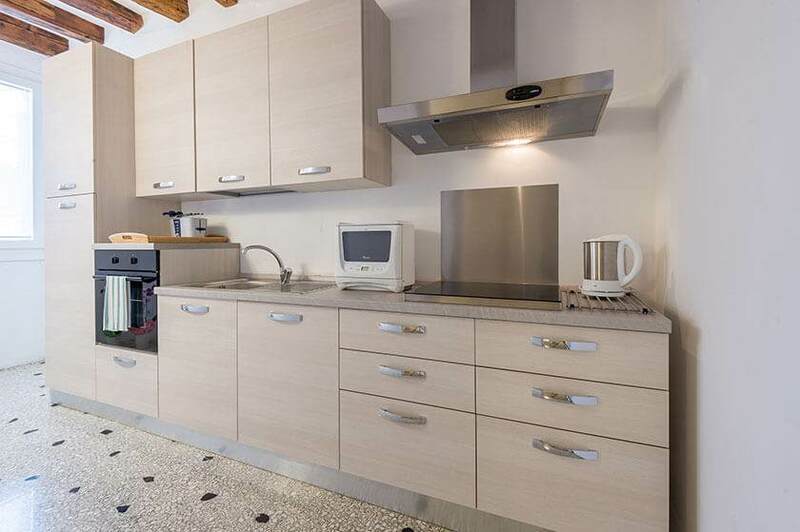 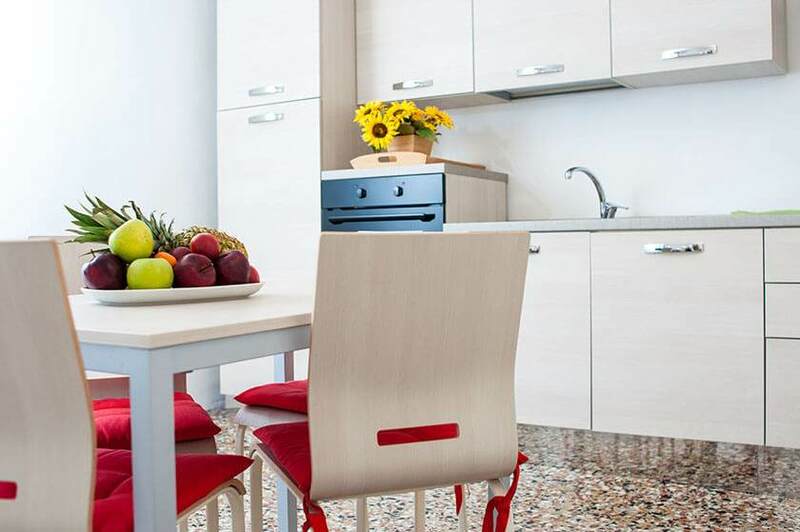 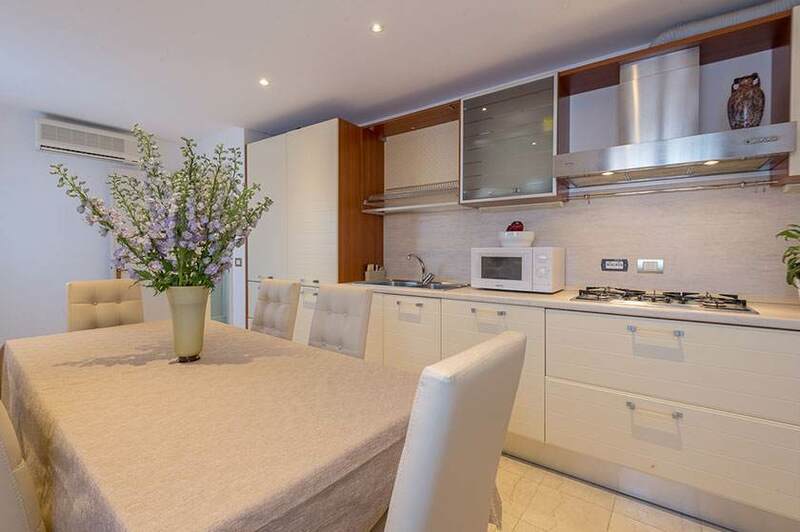 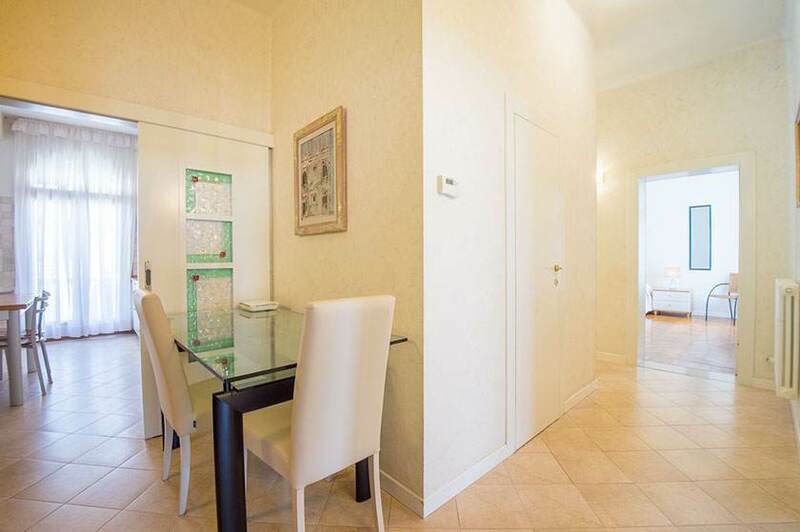 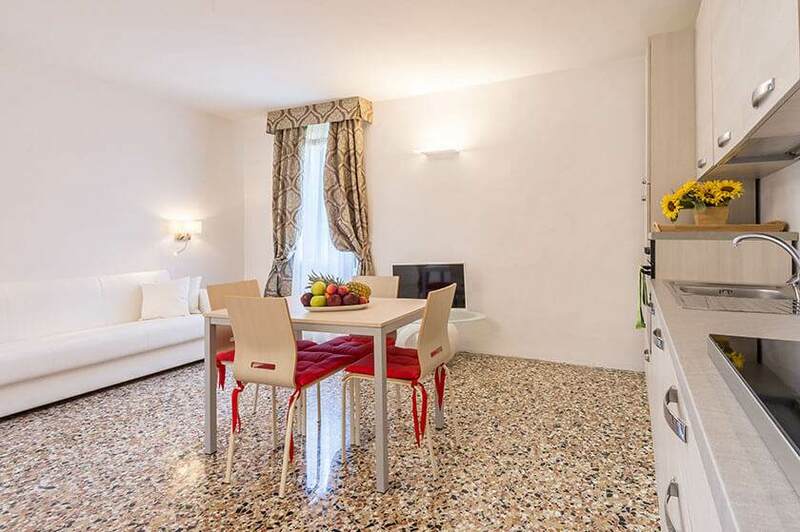 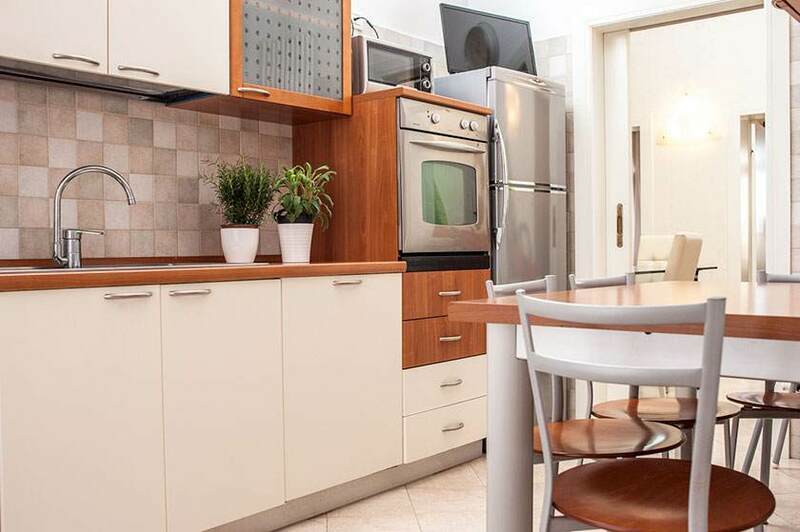 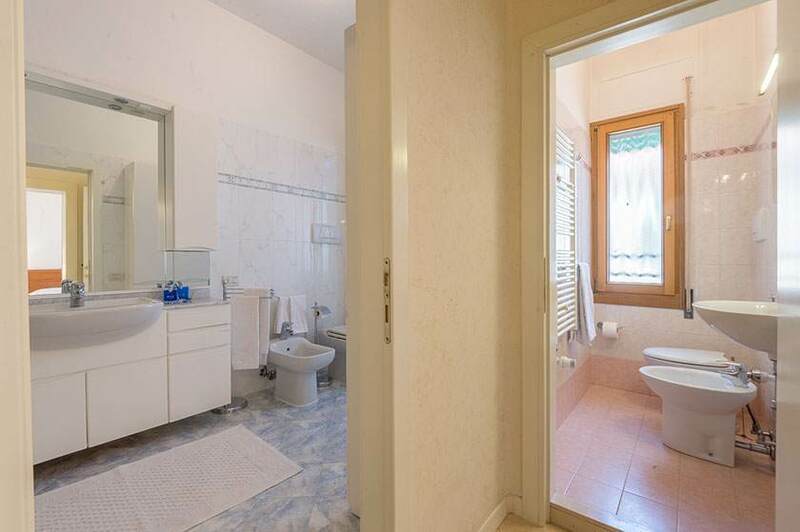 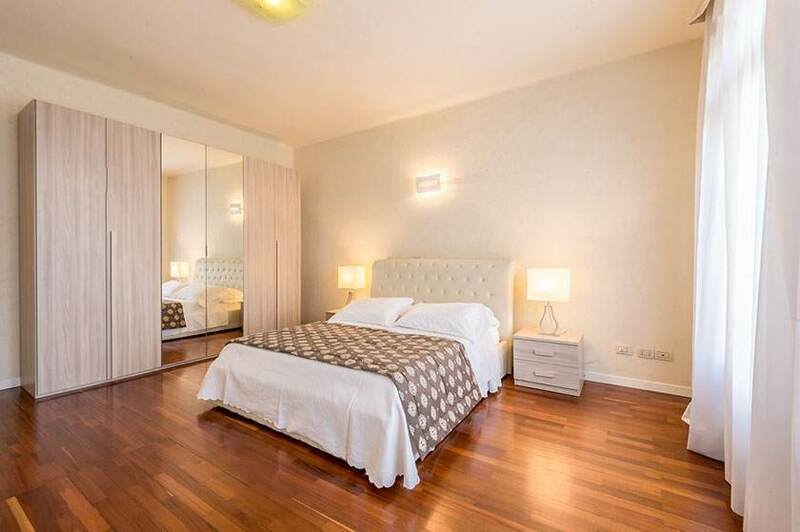 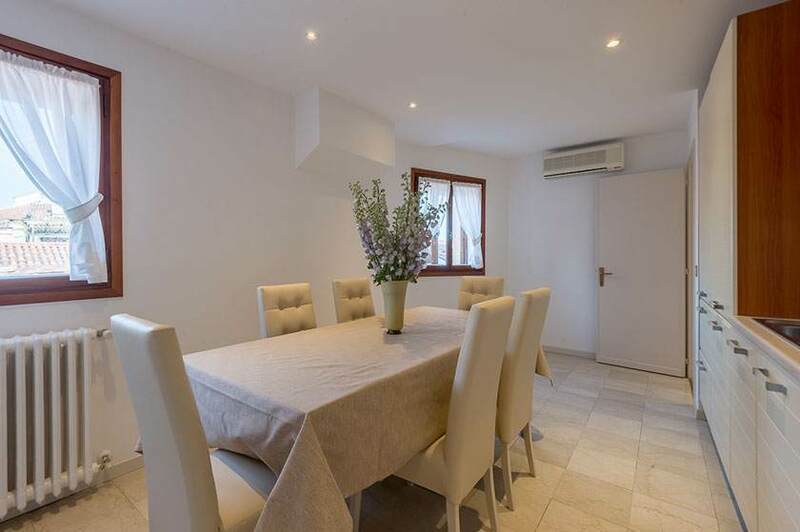 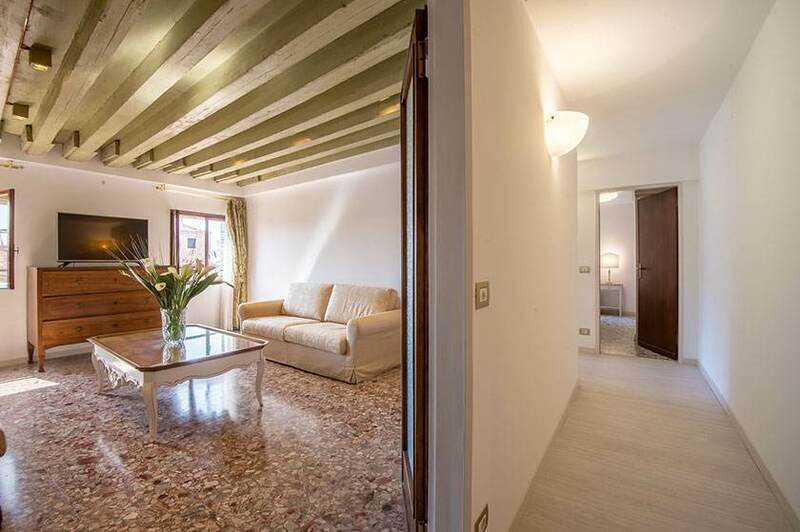 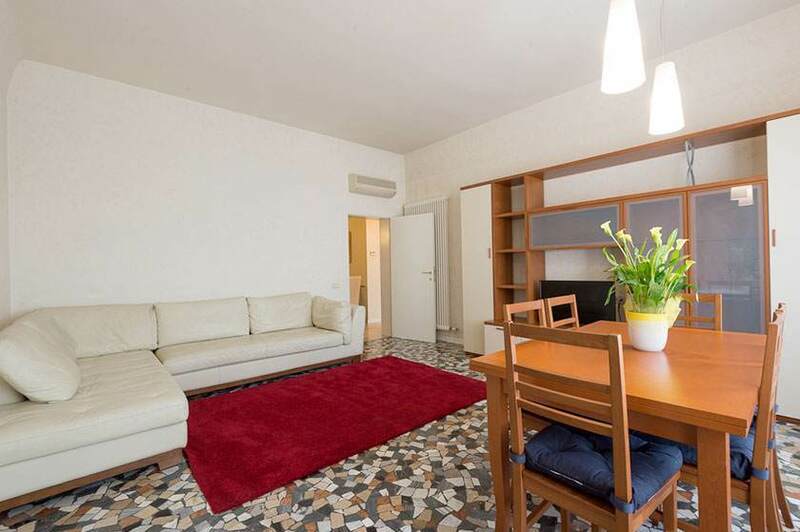 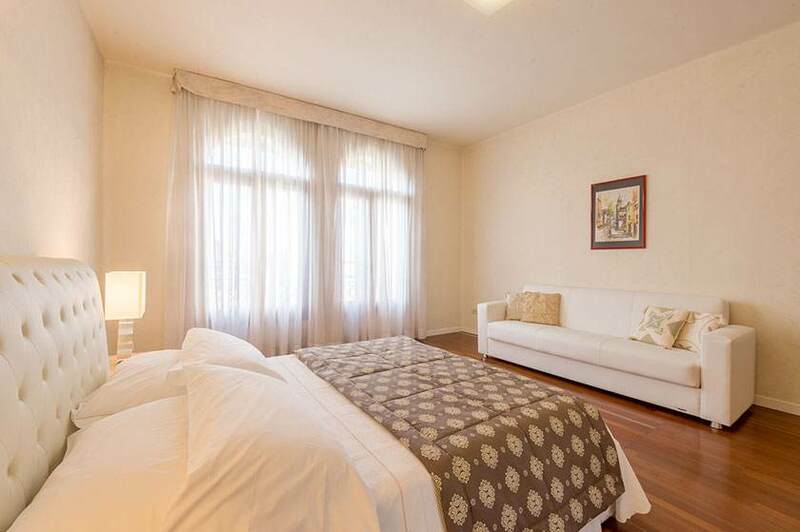 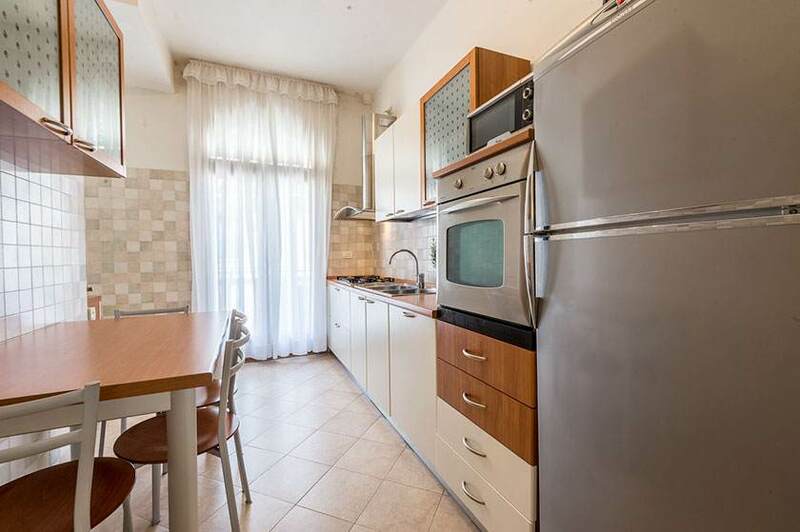 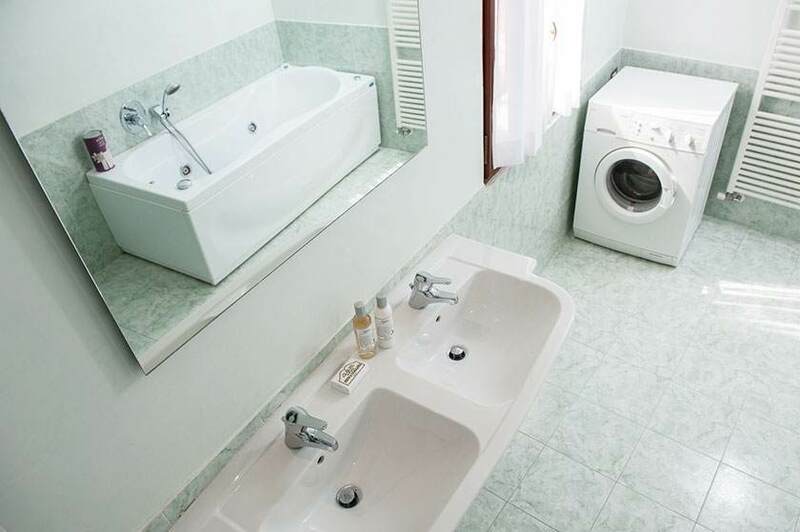 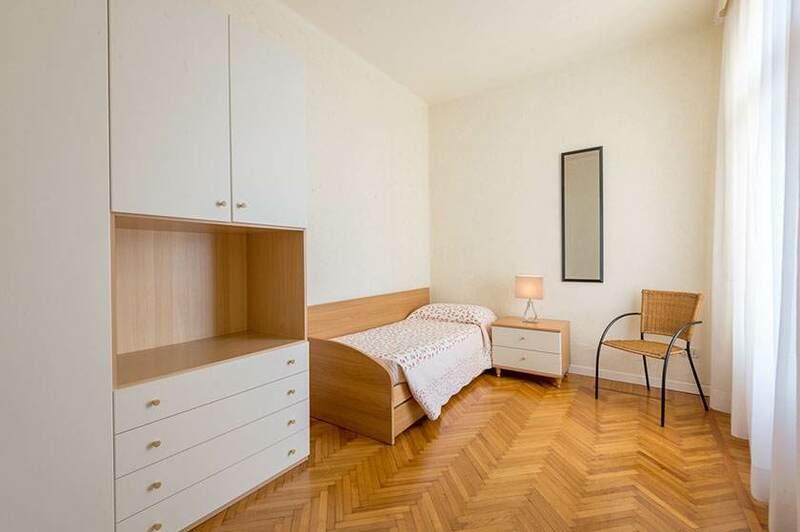 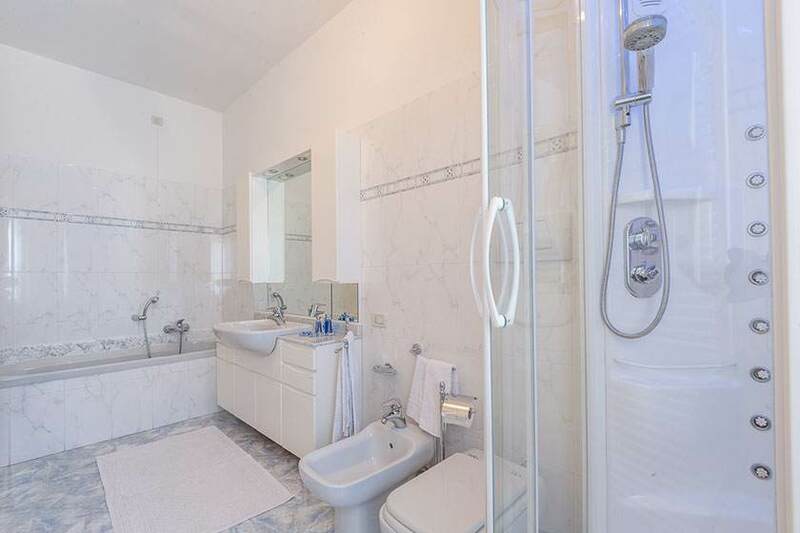 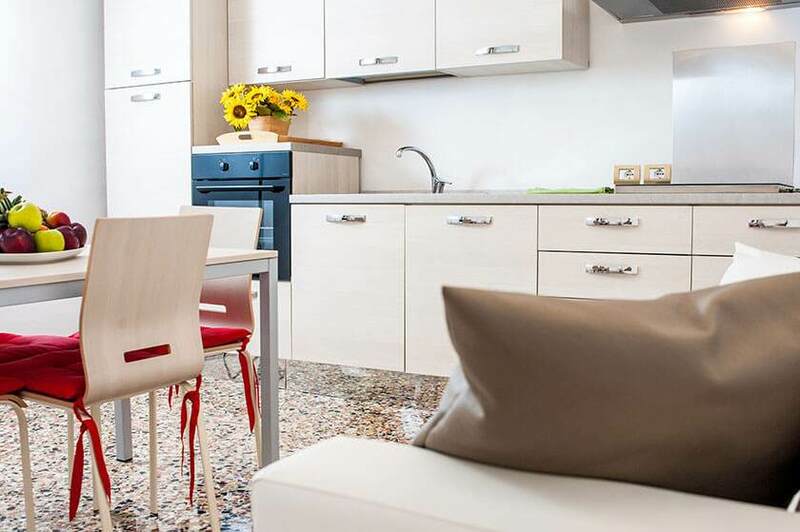 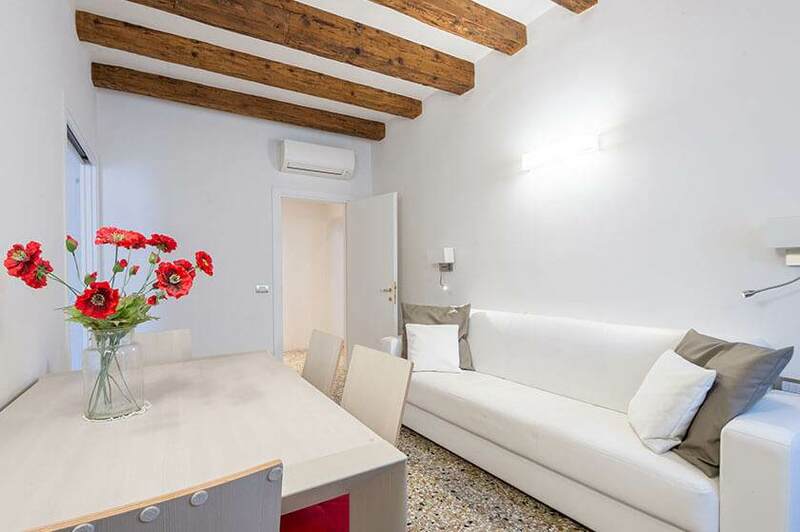 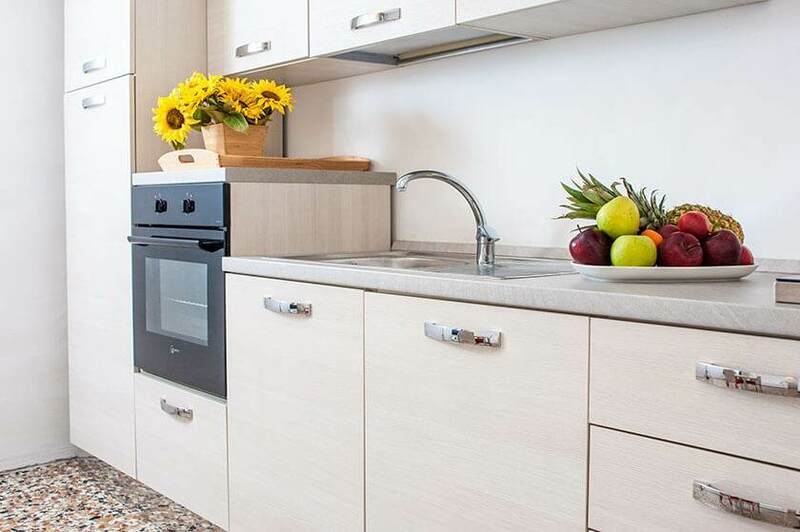 Located in Piazzale Roma, this apartment has an elevator, air conditioning, LED TV and free Wi-Fi. 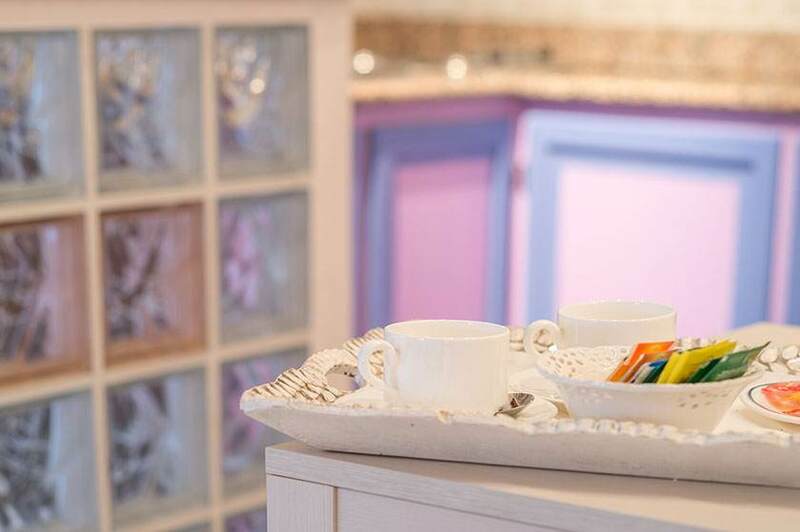 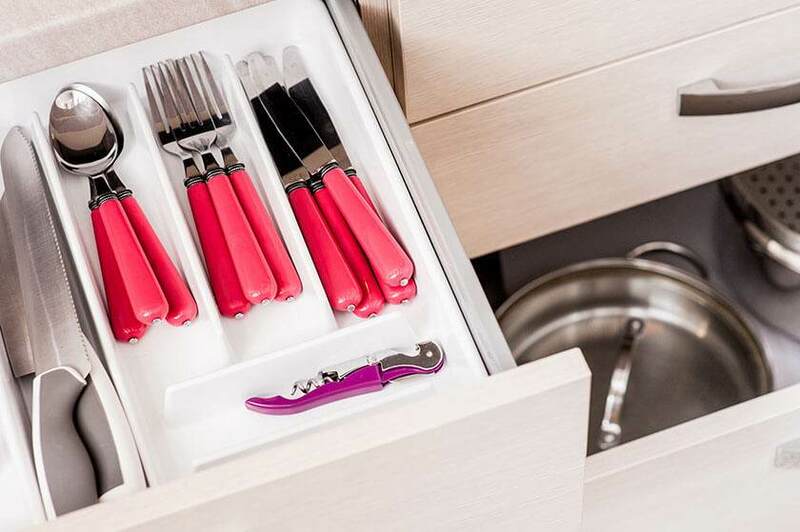 Designed to accommodate up to six guests, it is ideal for families and groups of friends who dream of a very convenient, modern and inviting accommodation! 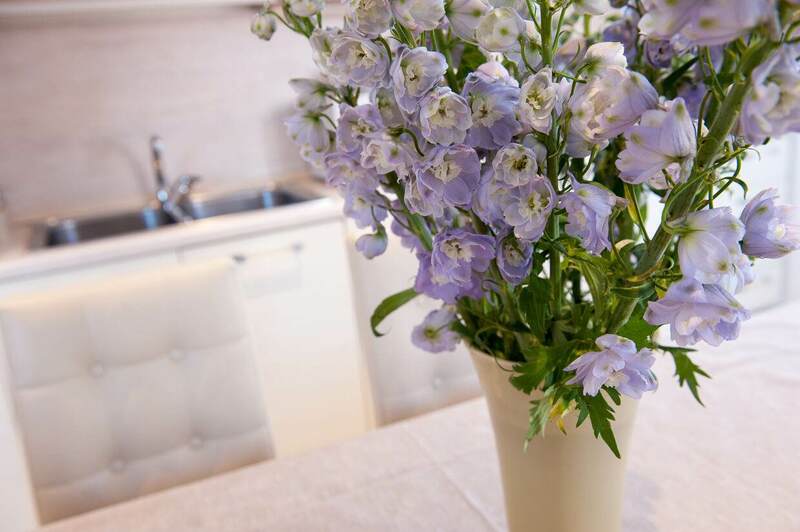 Quick info: Check in from 2:00 p.m. in the apartment, check out by 10.00 a.m.